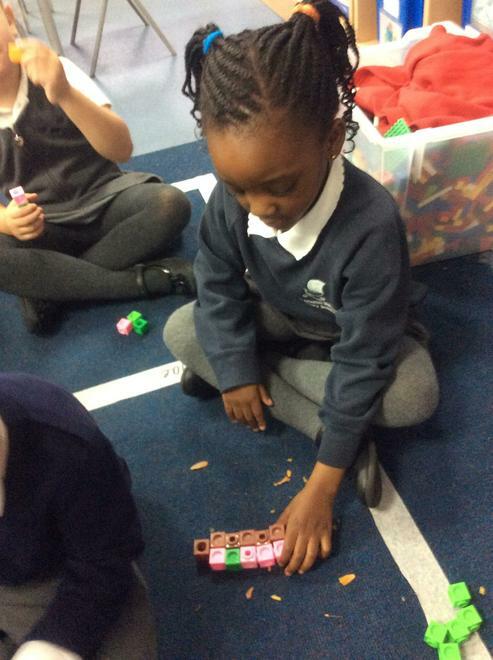 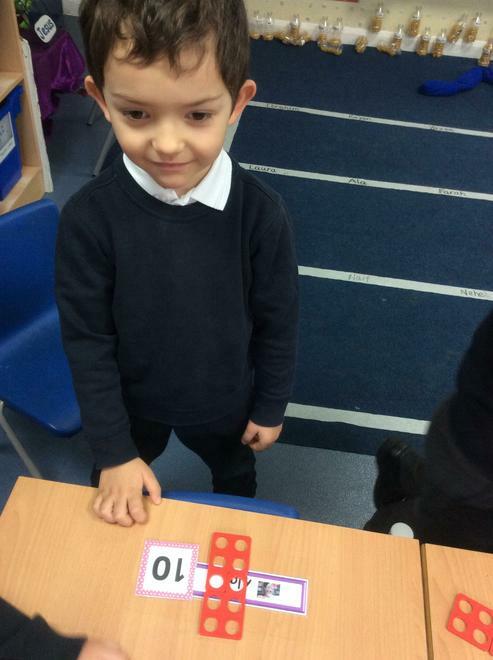 We are learning to find the two numbers that make ten using counters and cubes. 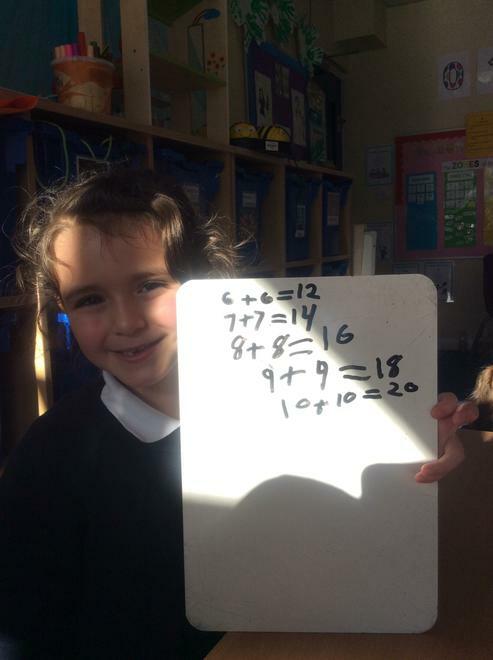 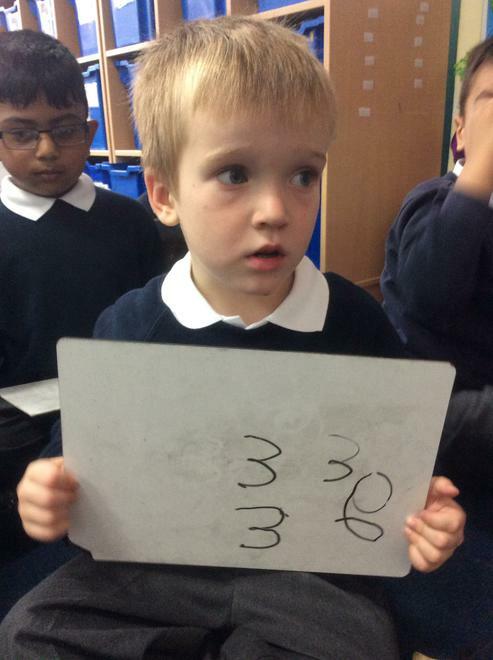 We are learning to double numbers. 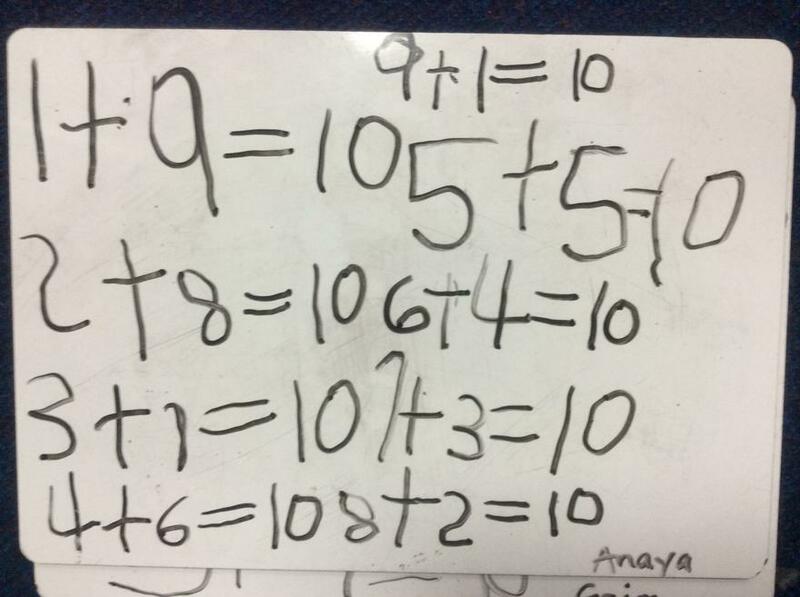 We are learning to add using the number line. 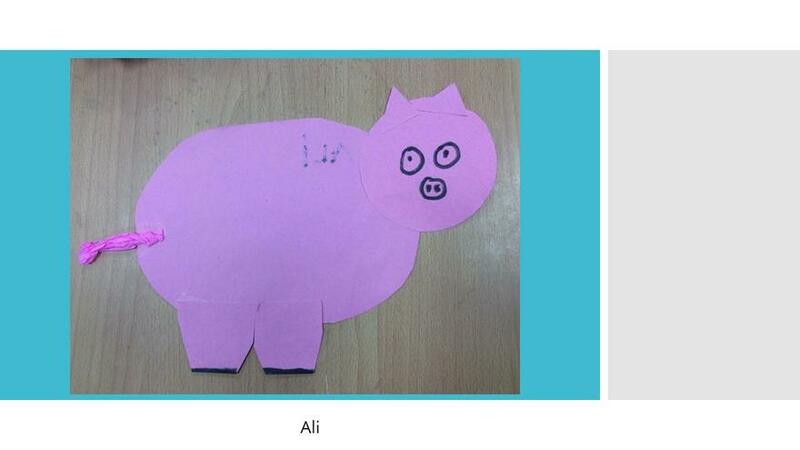 It is the year of the pig according to the Chinese calendar. 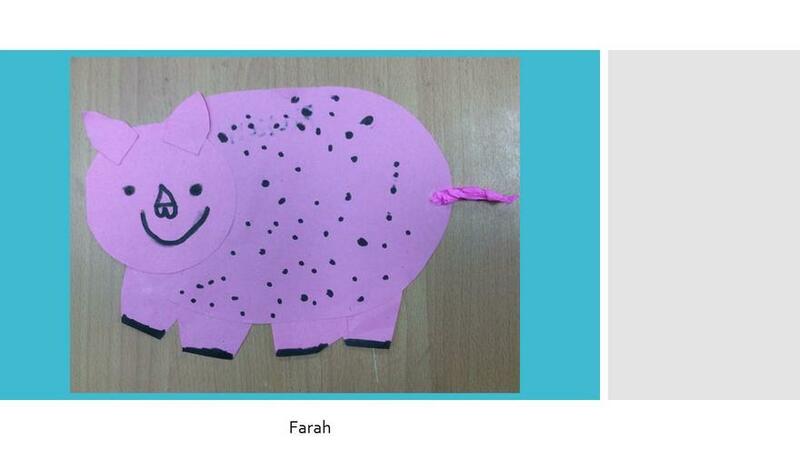 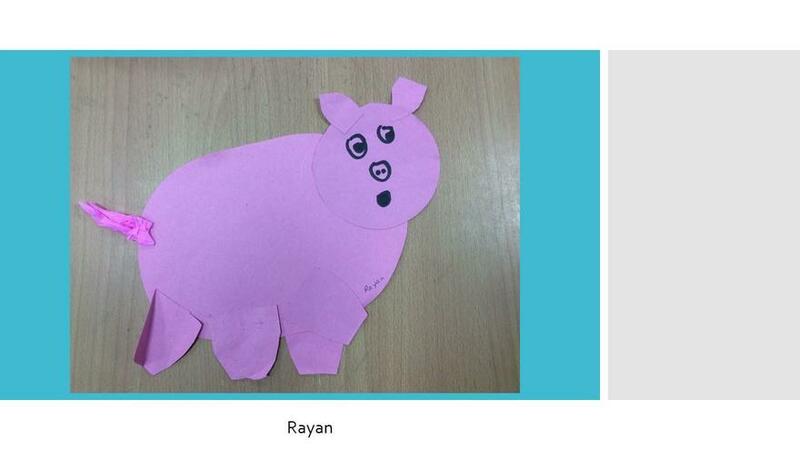 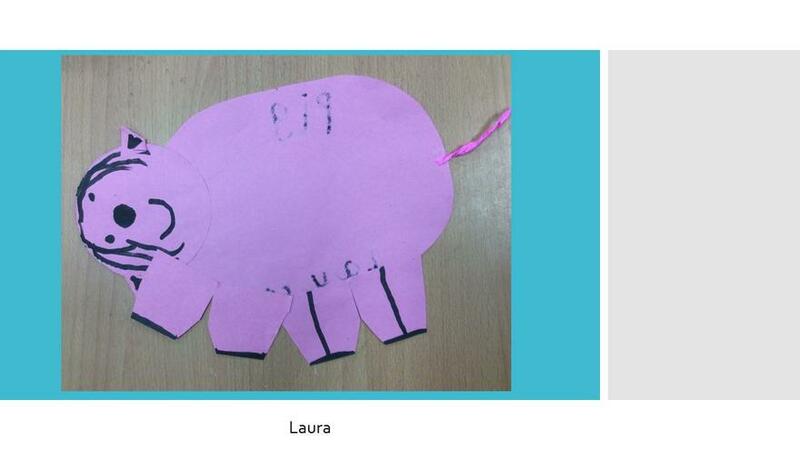 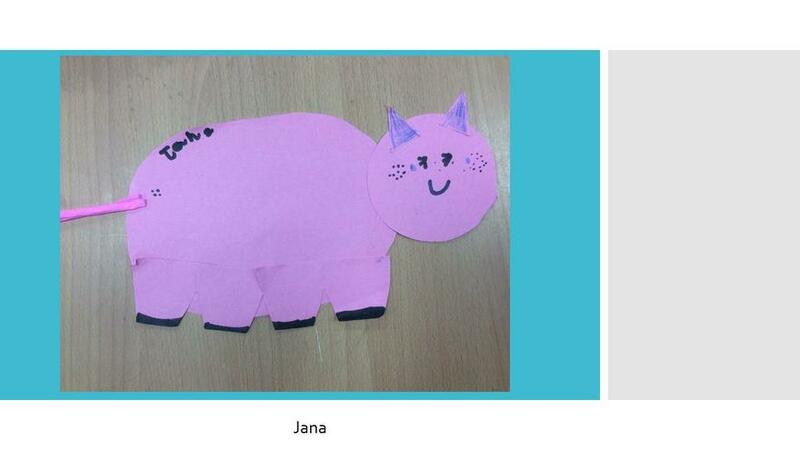 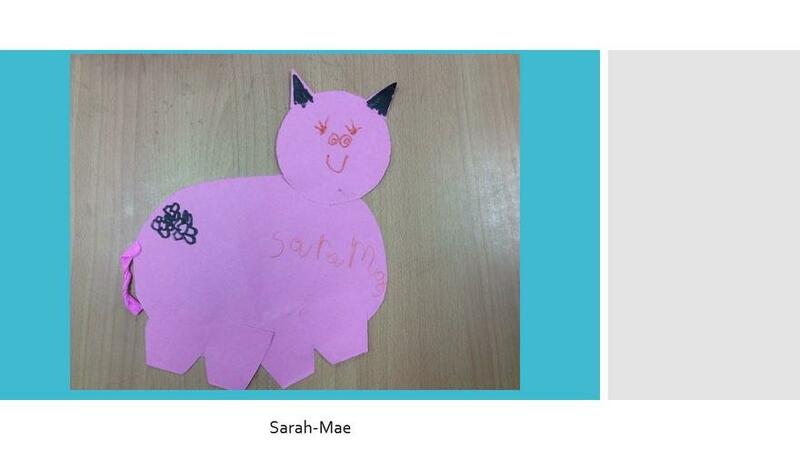 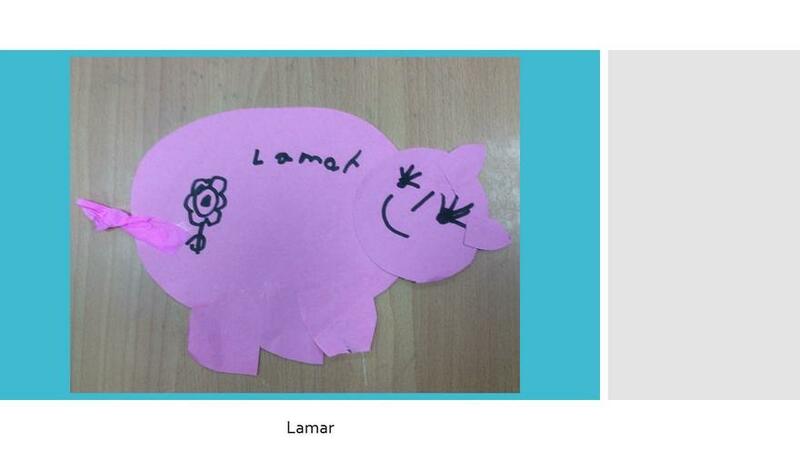 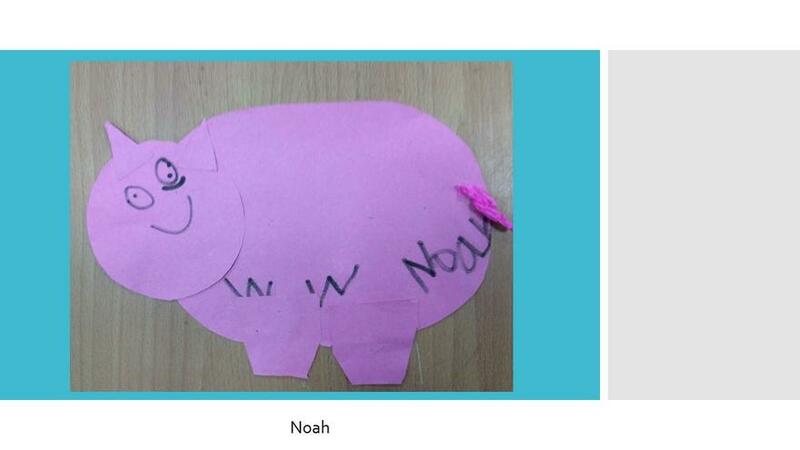 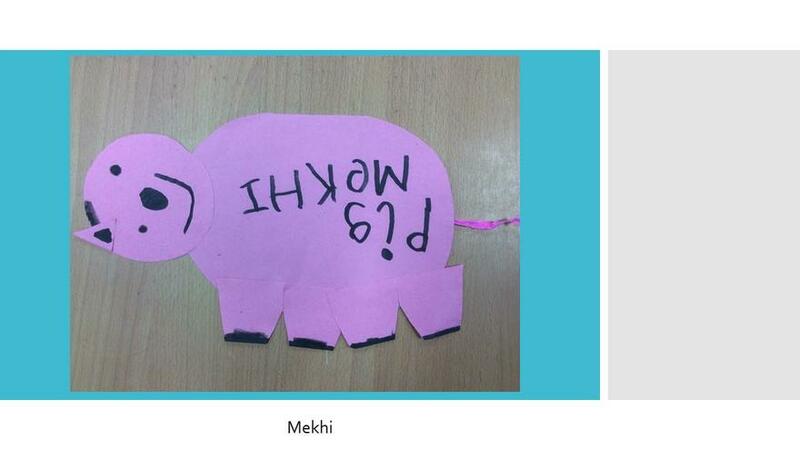 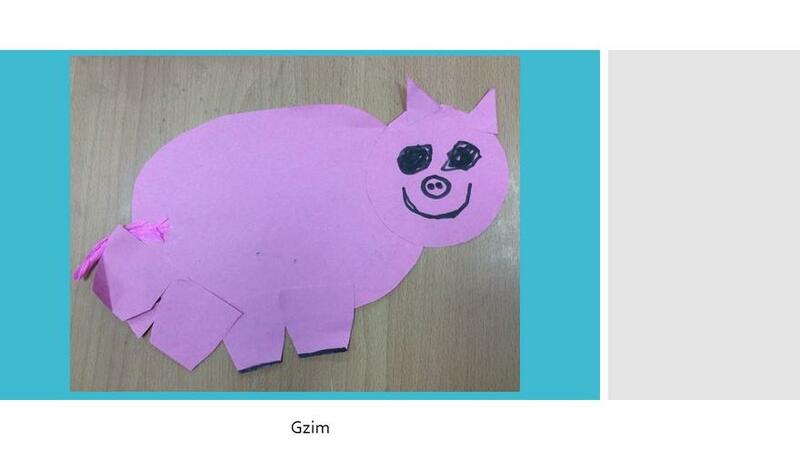 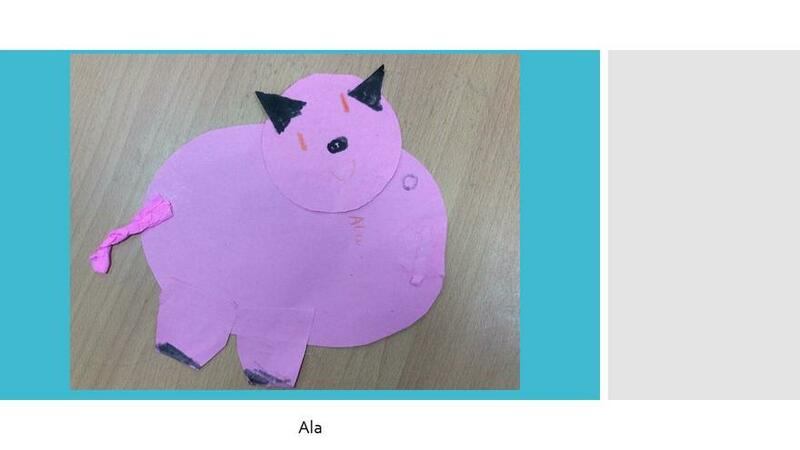 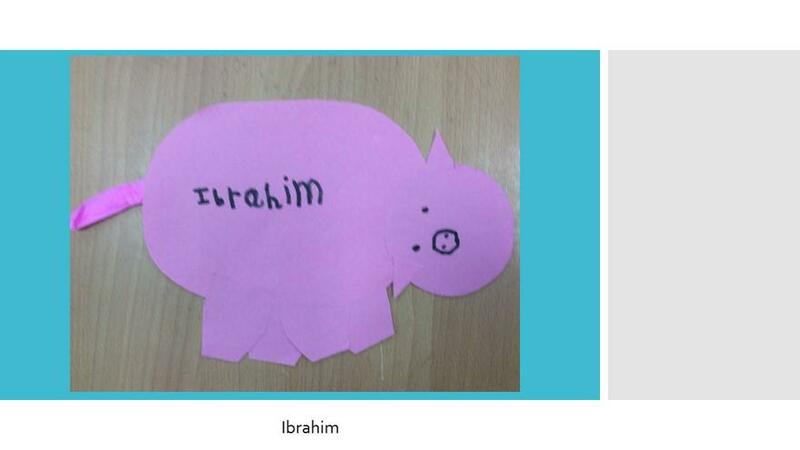 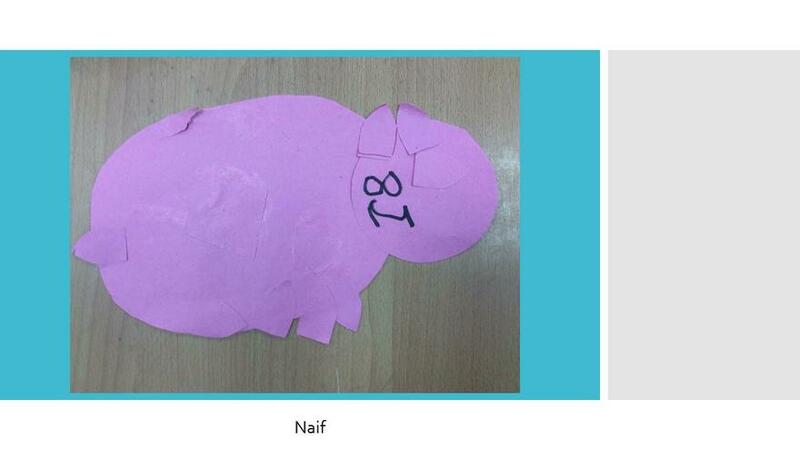 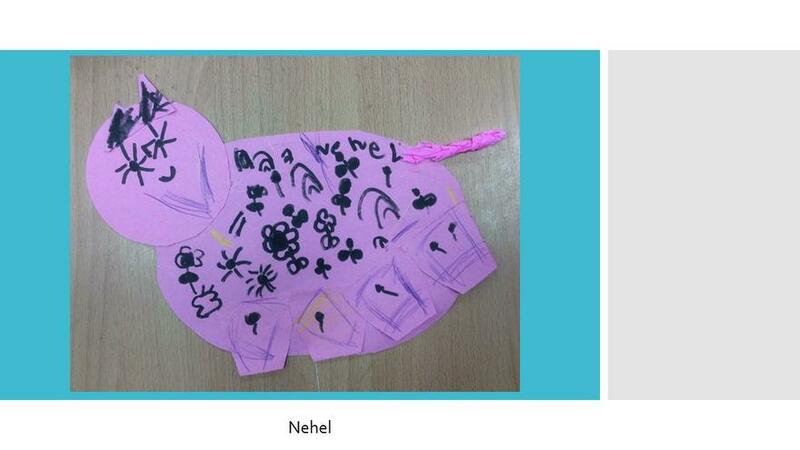 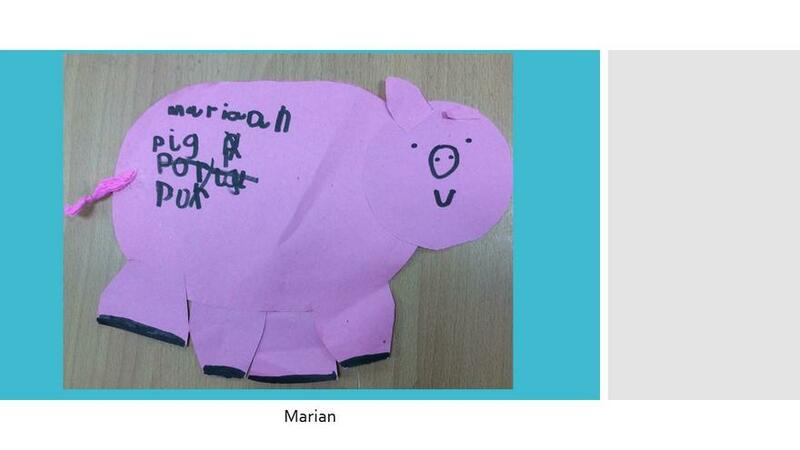 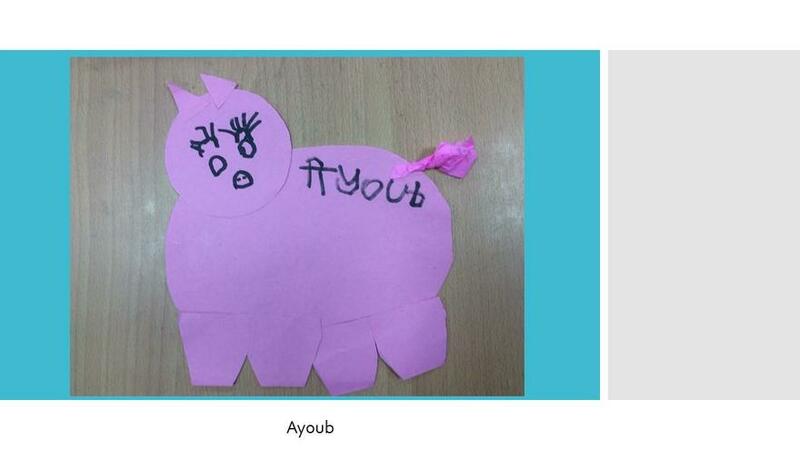 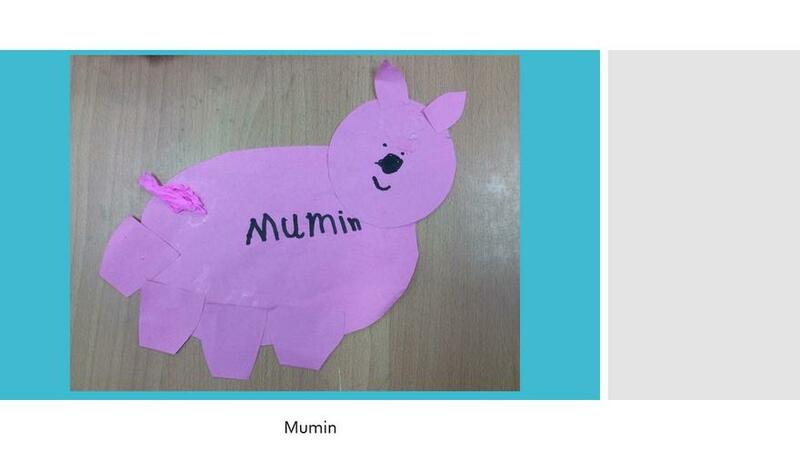 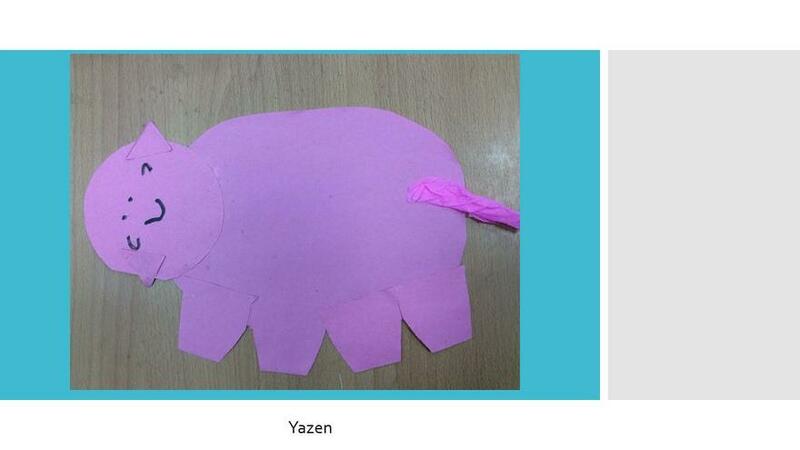 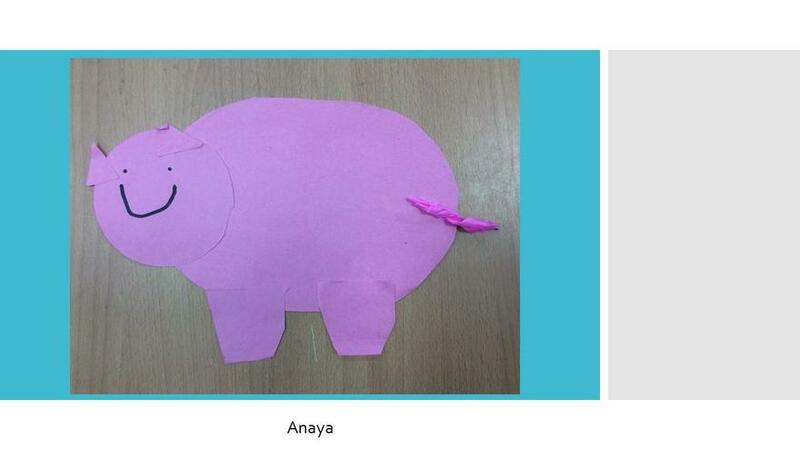 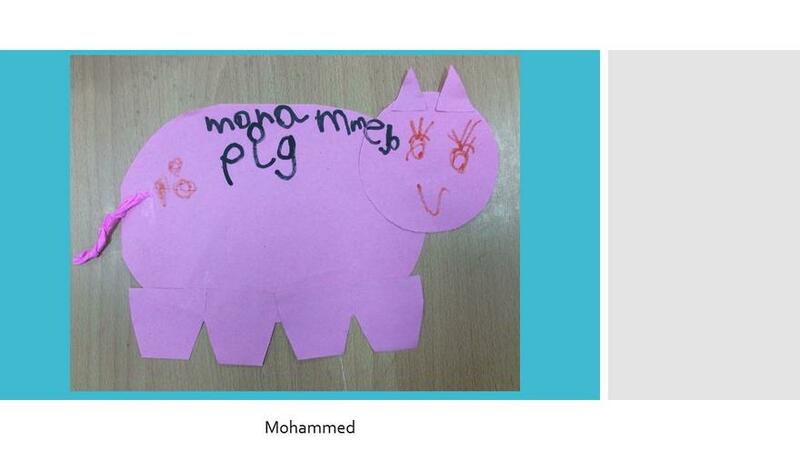 We are using shapes to make a pig picture. 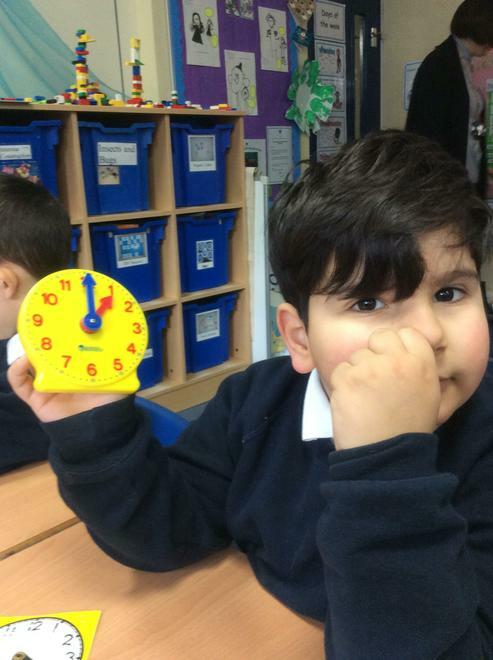 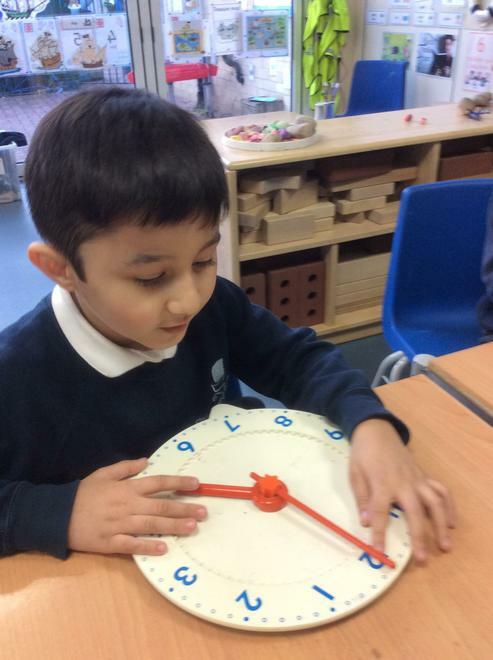 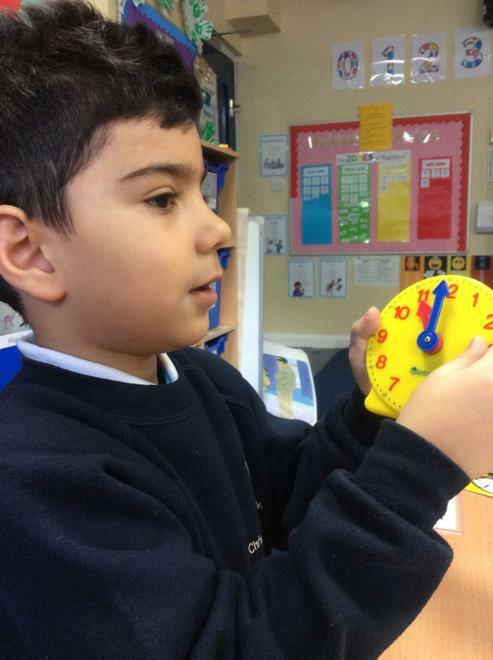 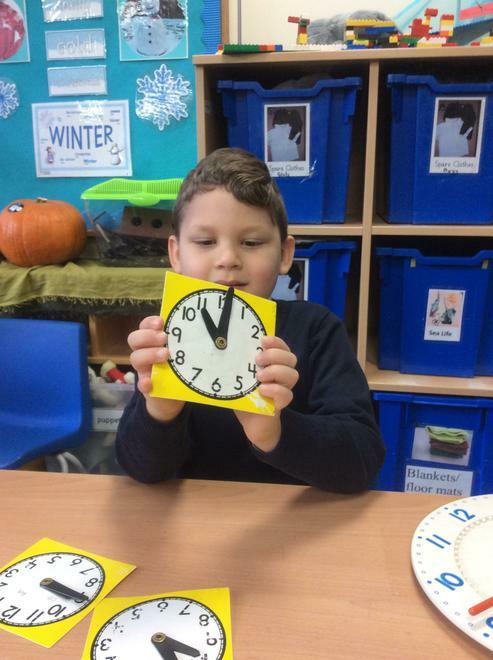 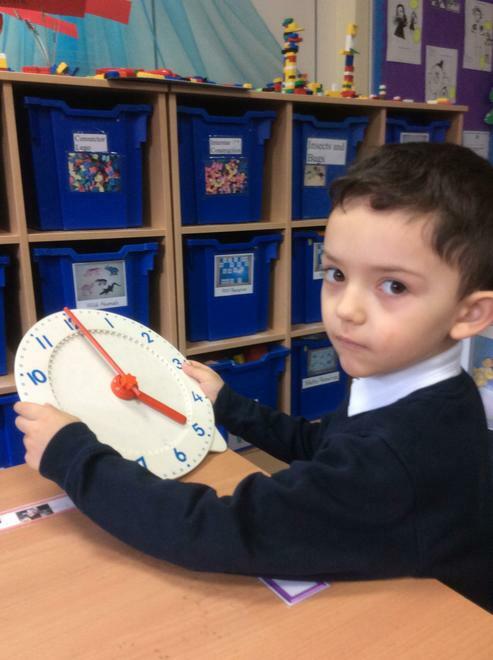 We are learning about o'clock time. 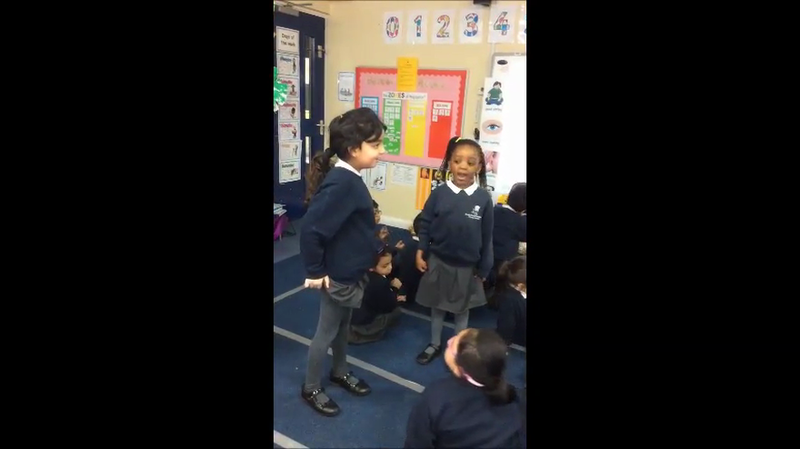 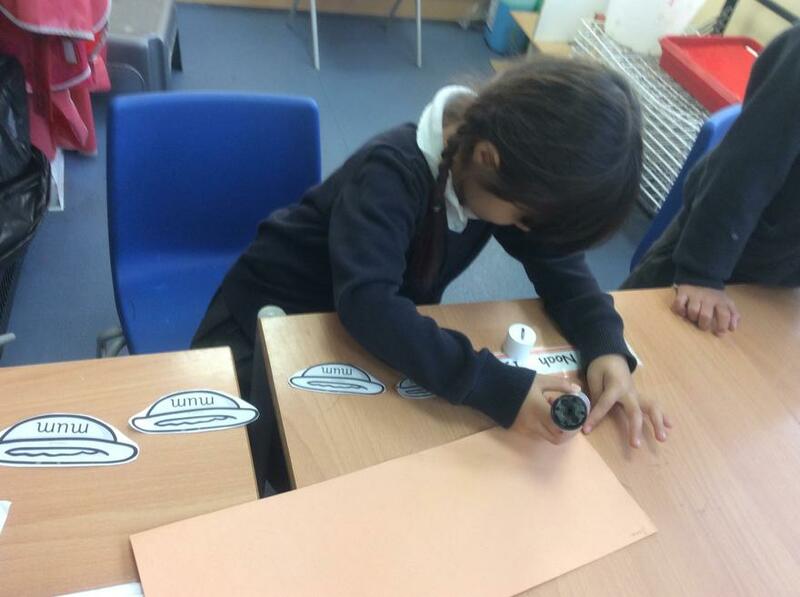 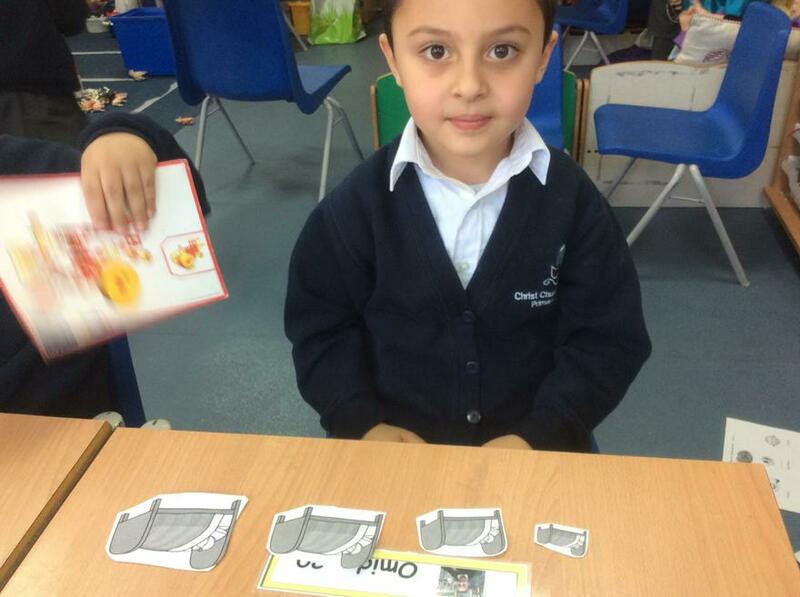 We are learning about positional language. 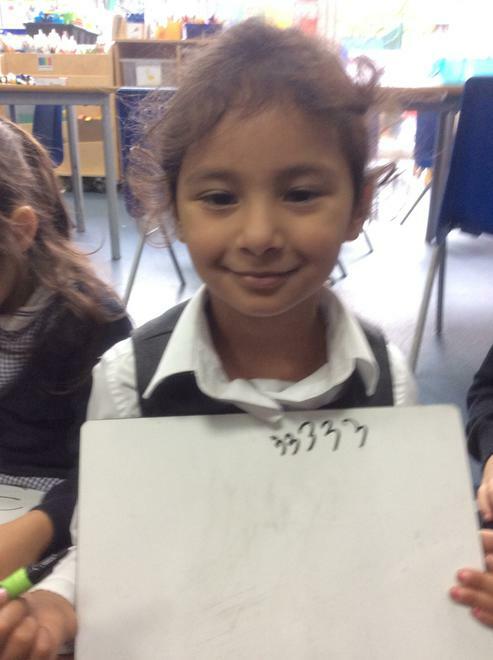 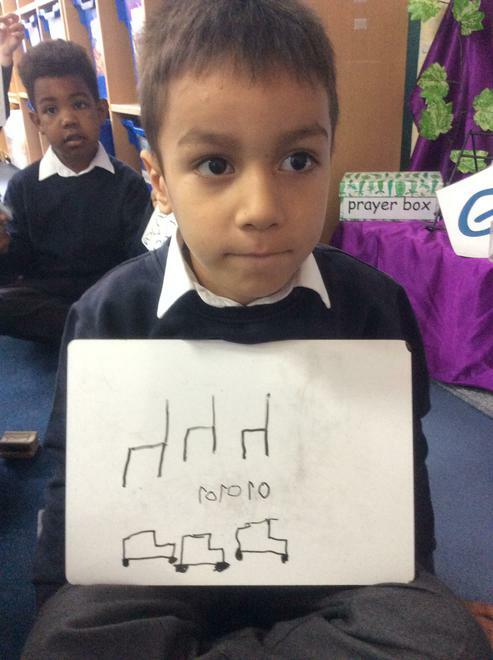 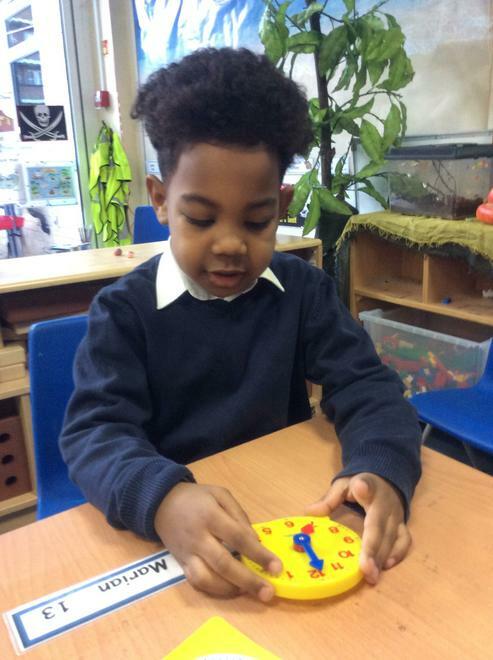 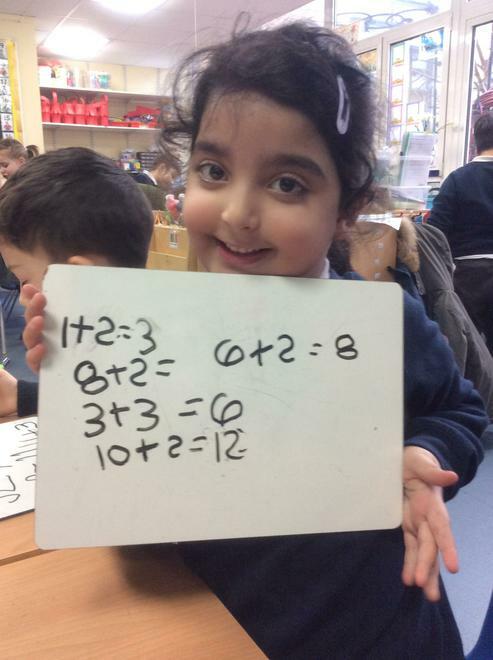 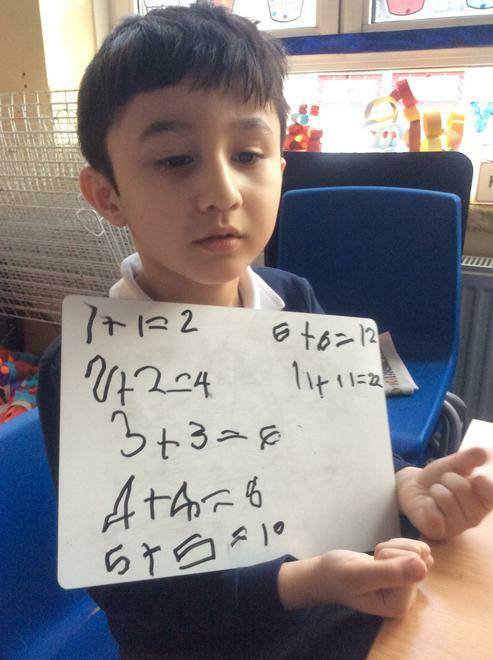 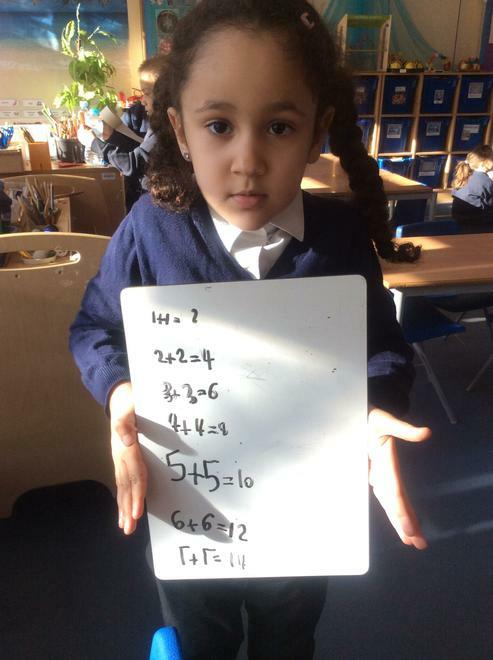 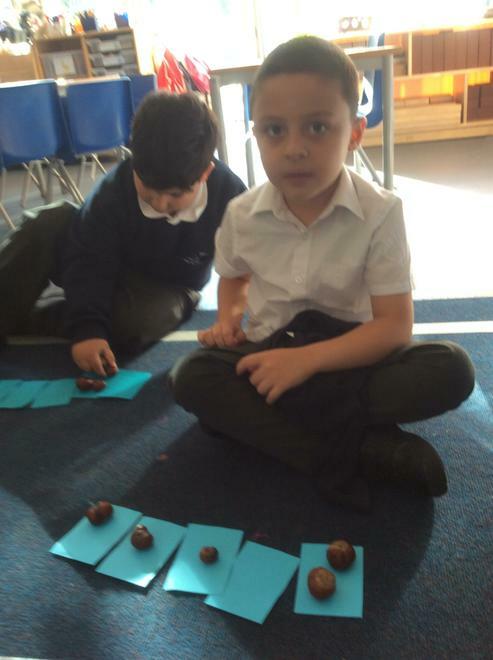 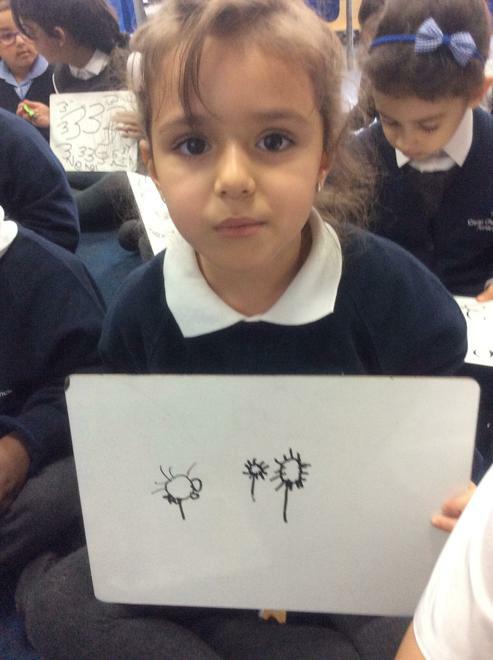 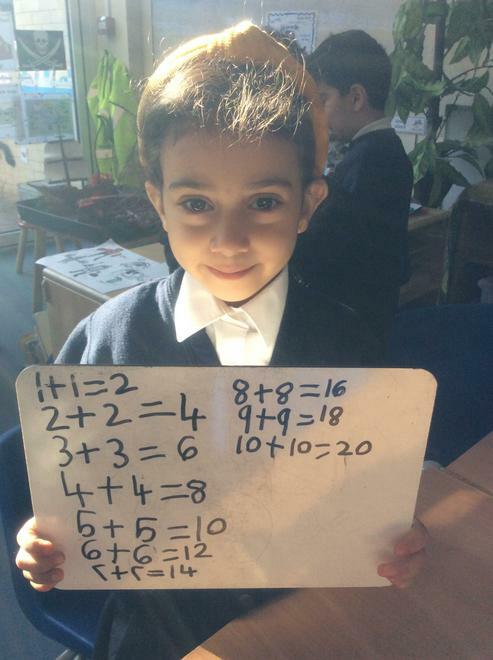 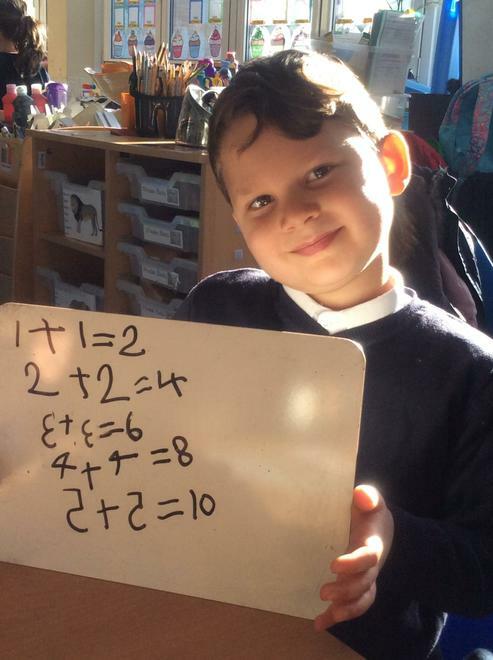 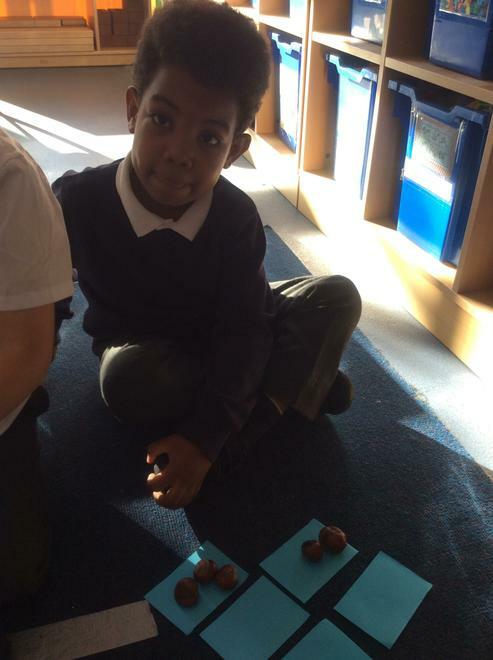 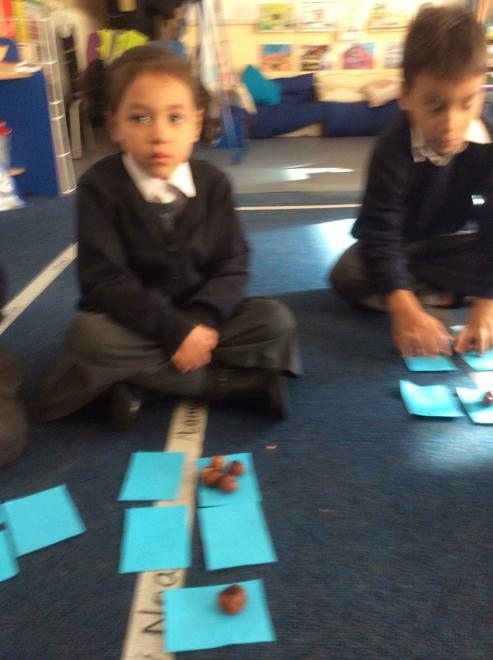 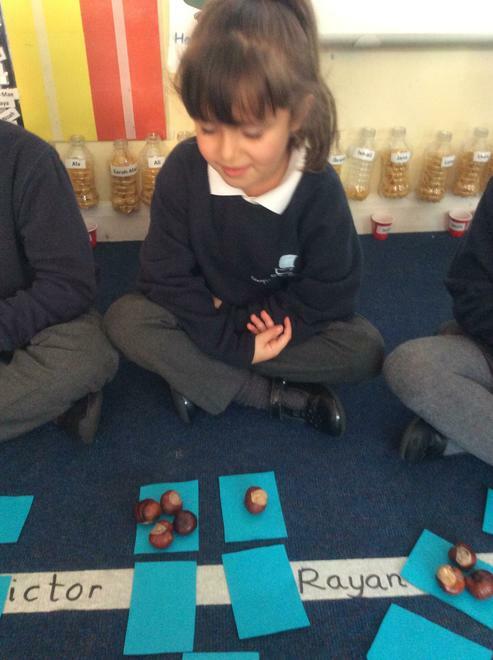 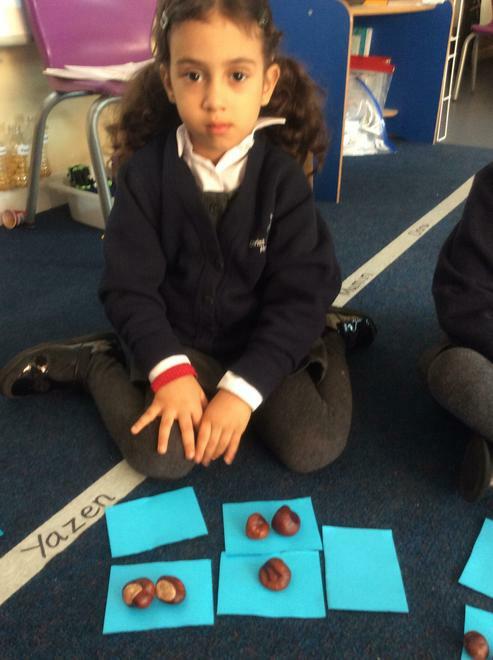 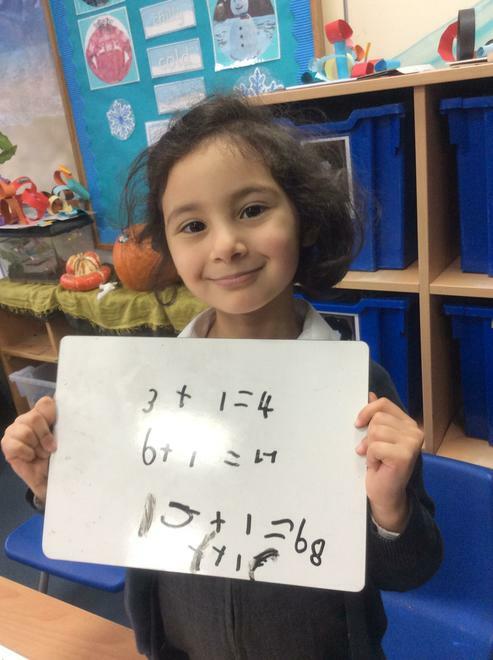 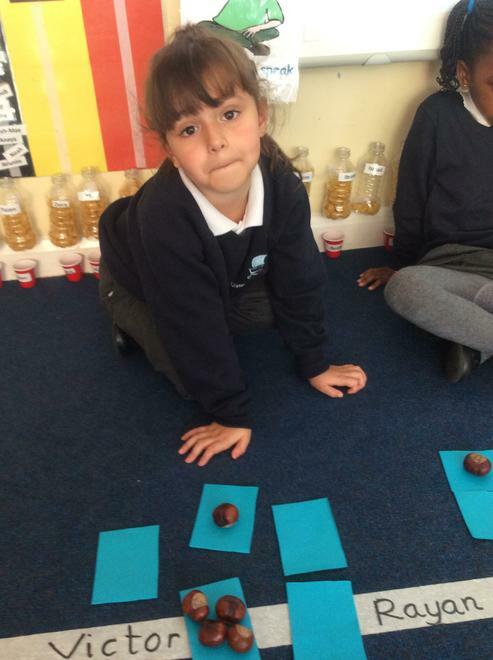 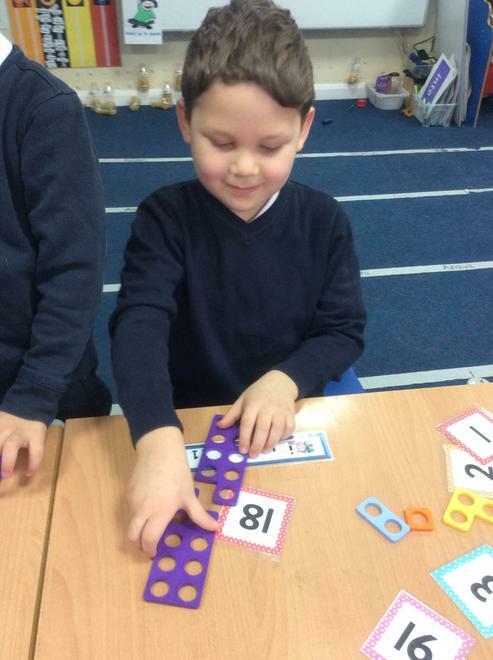 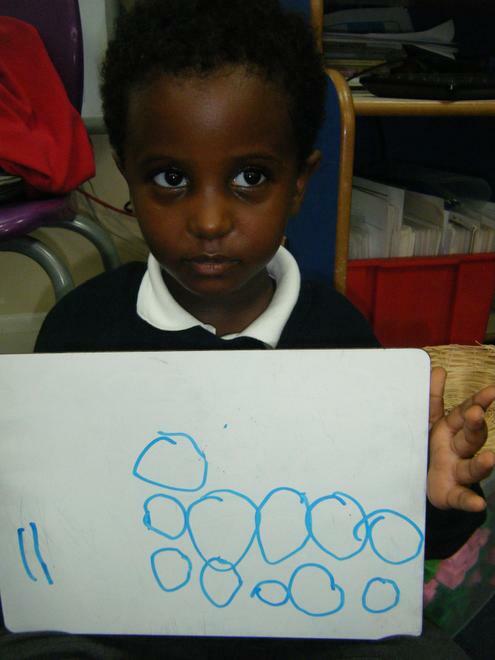 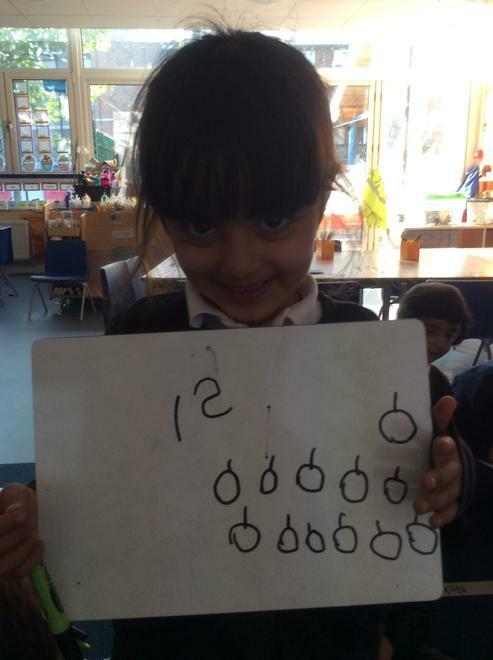 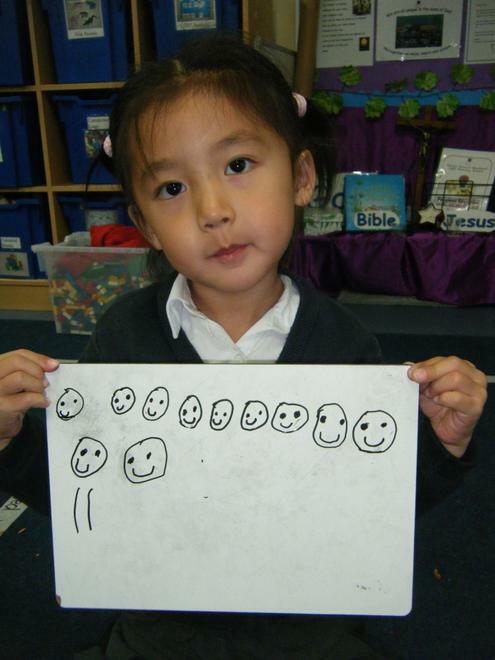 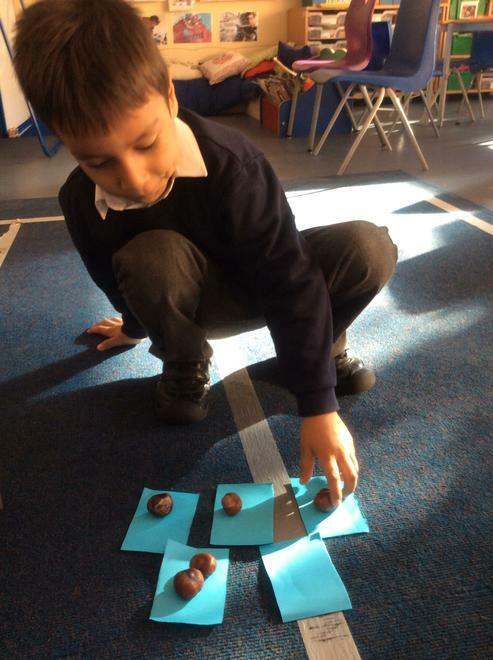 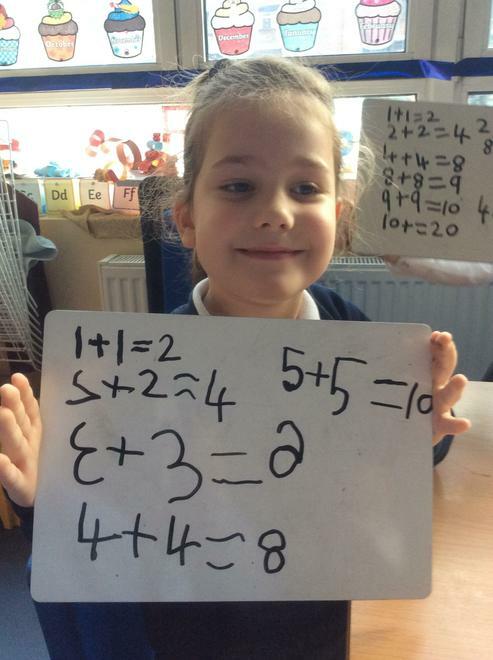 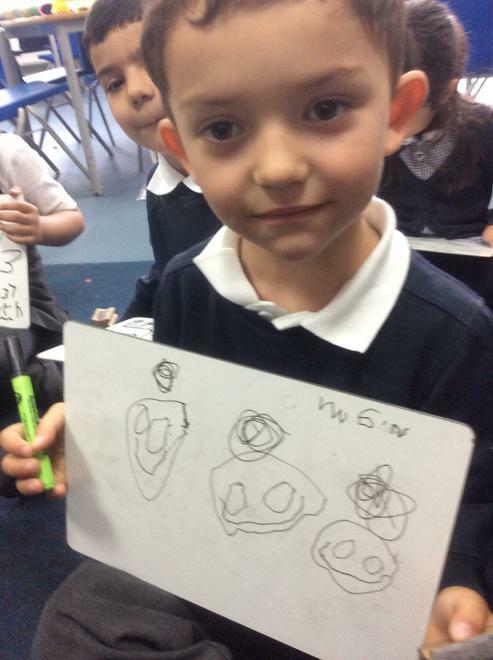 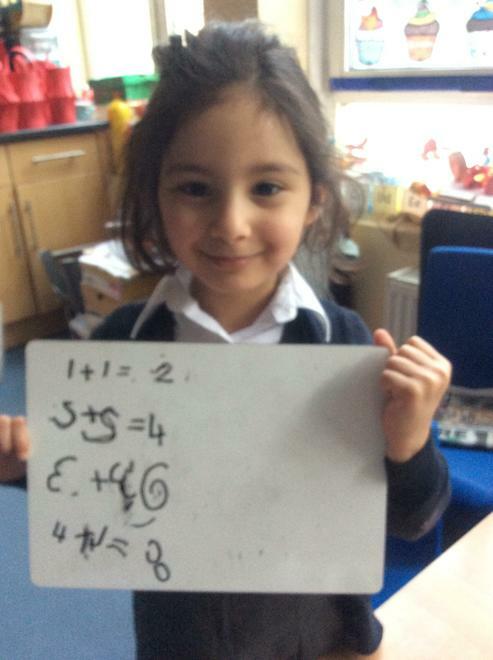 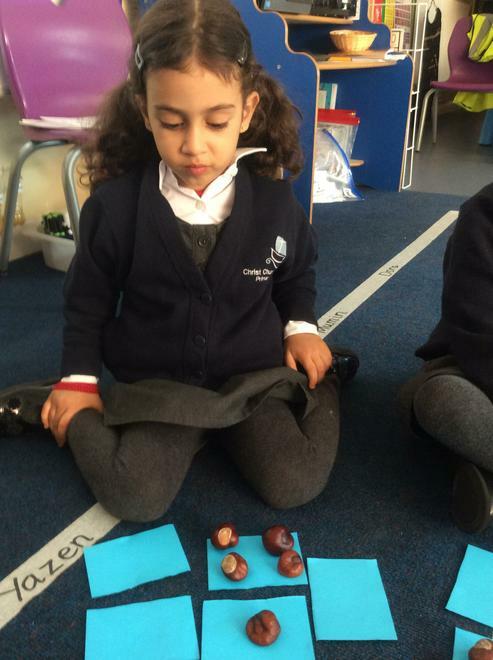 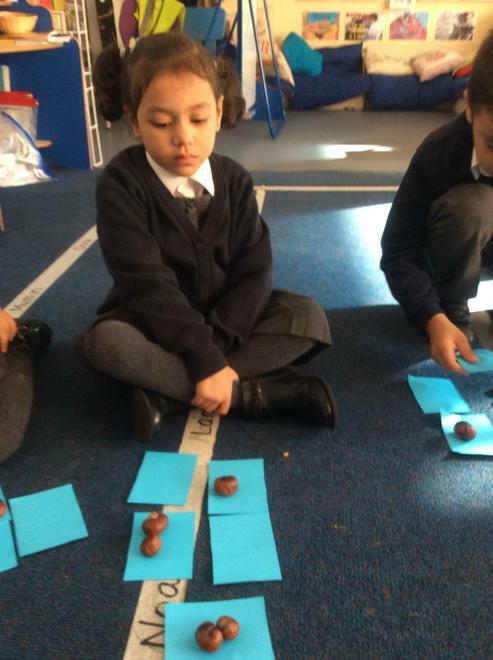 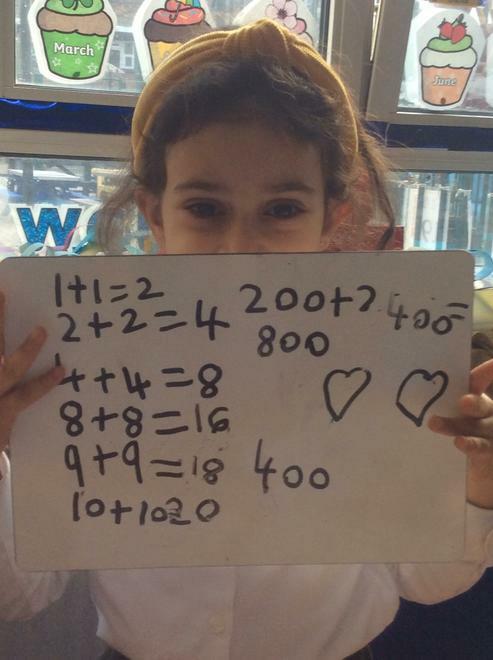 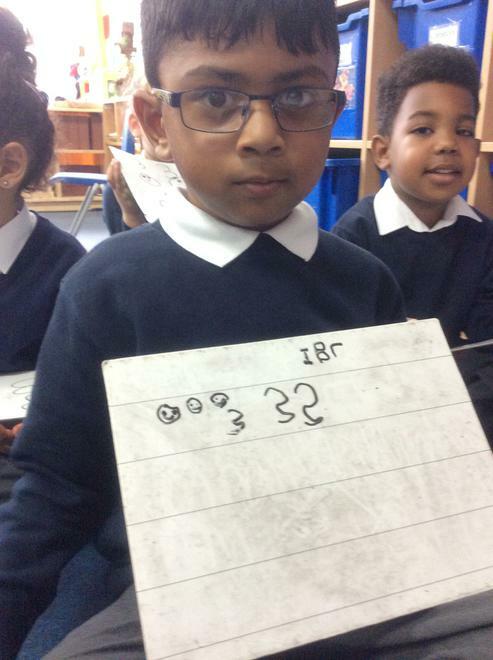 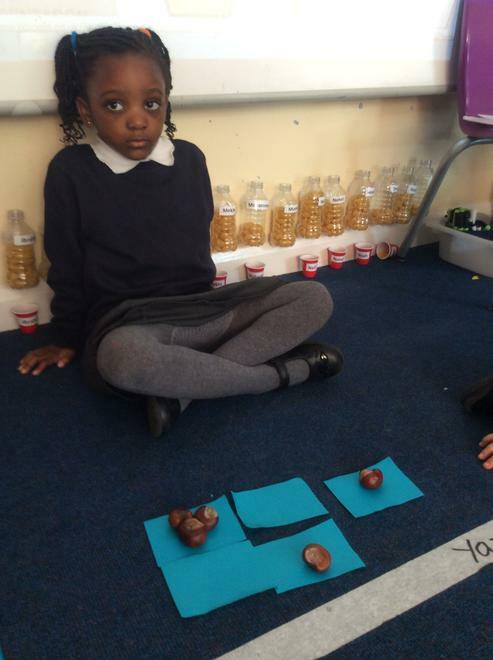 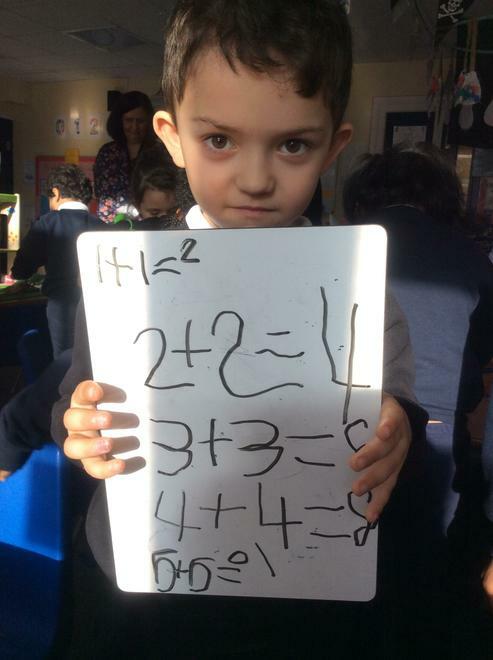 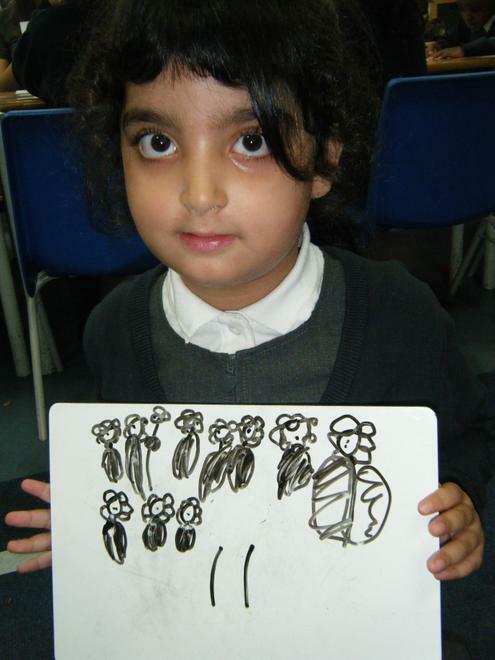 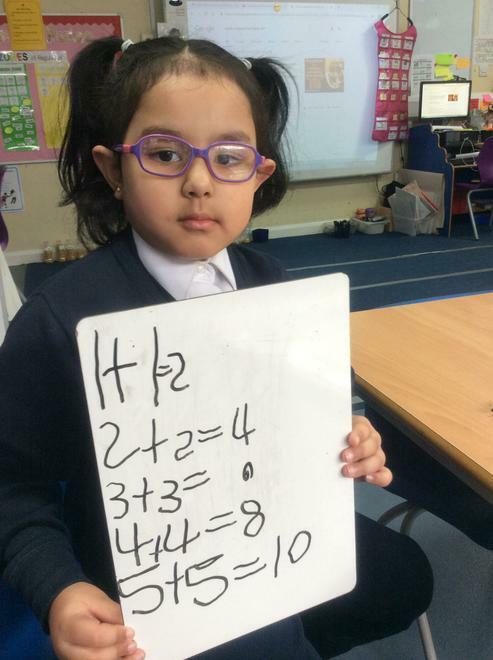 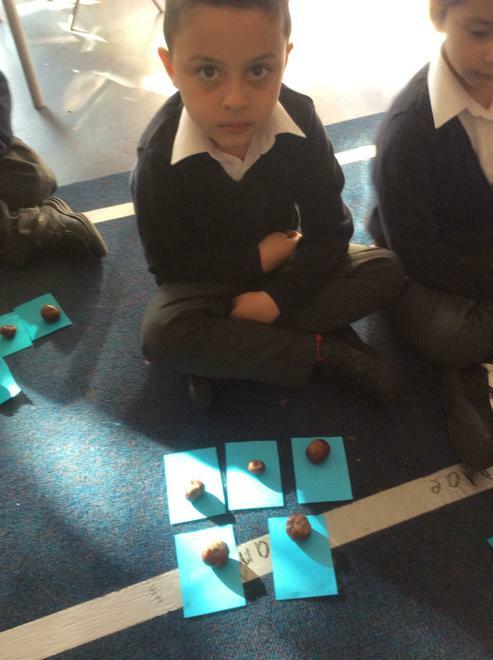 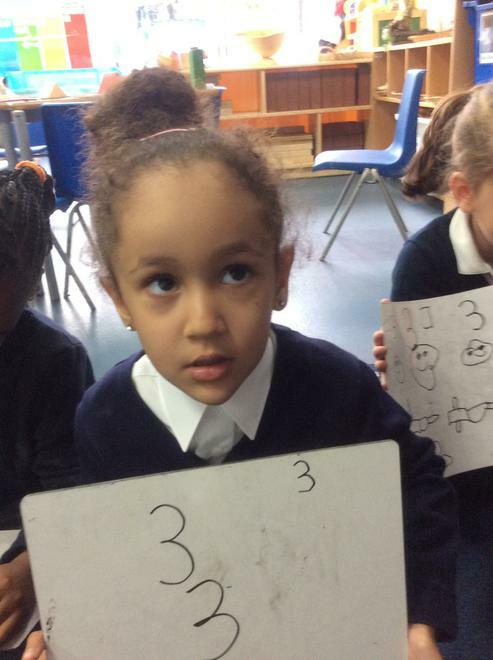 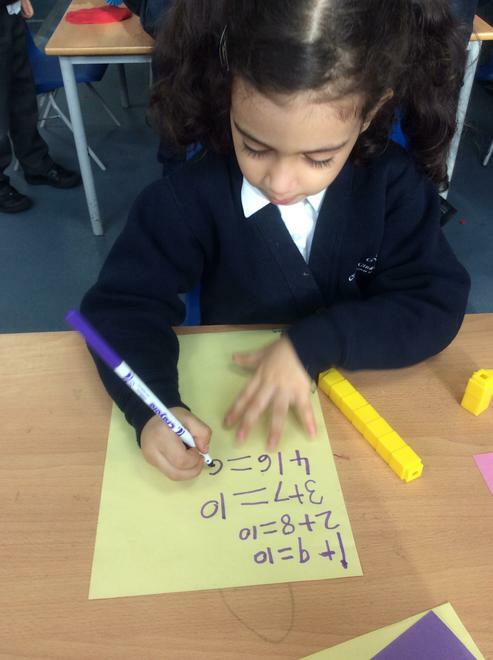 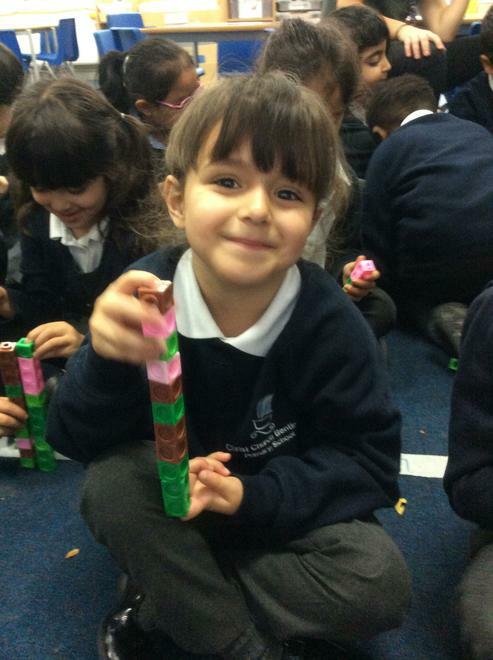 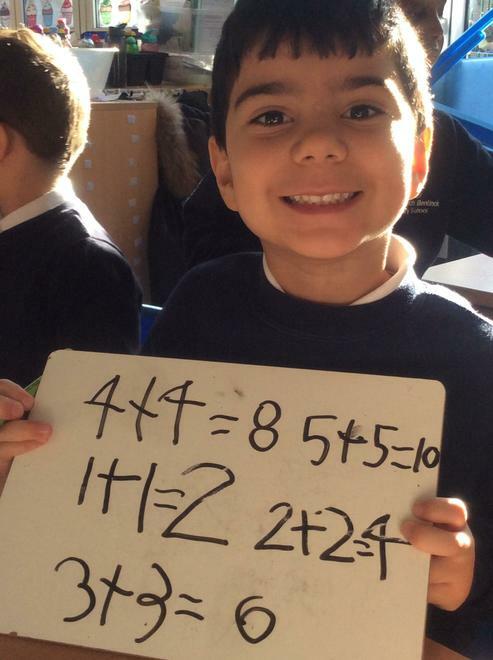 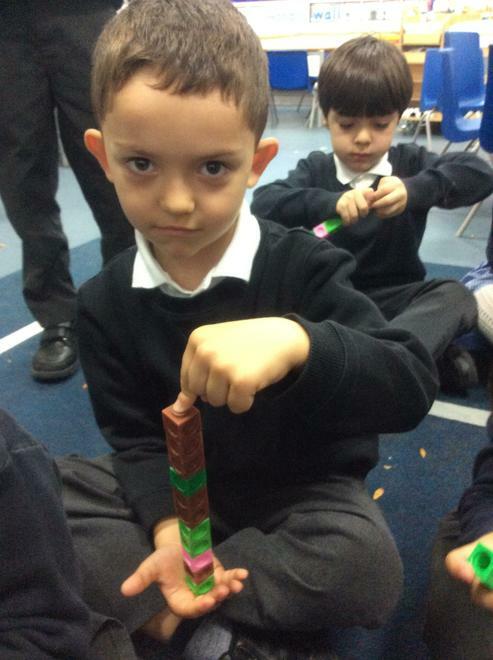 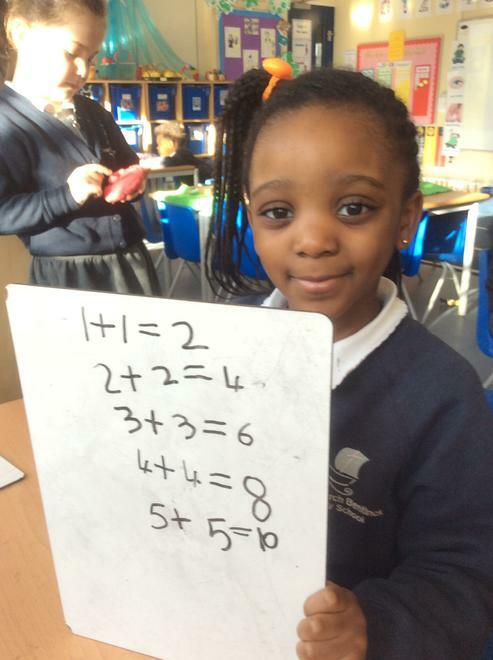 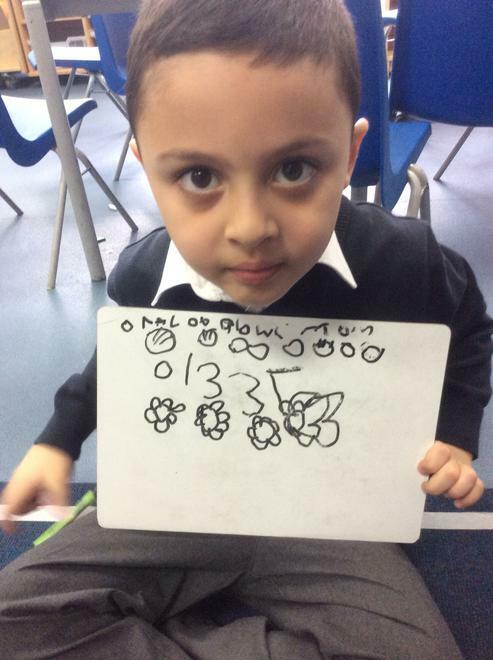 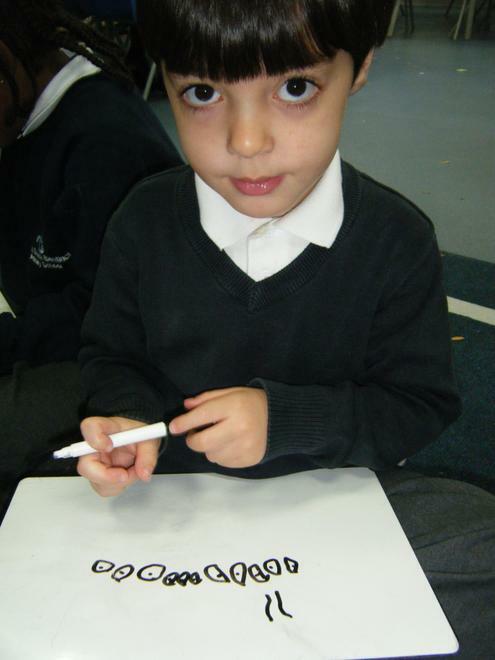 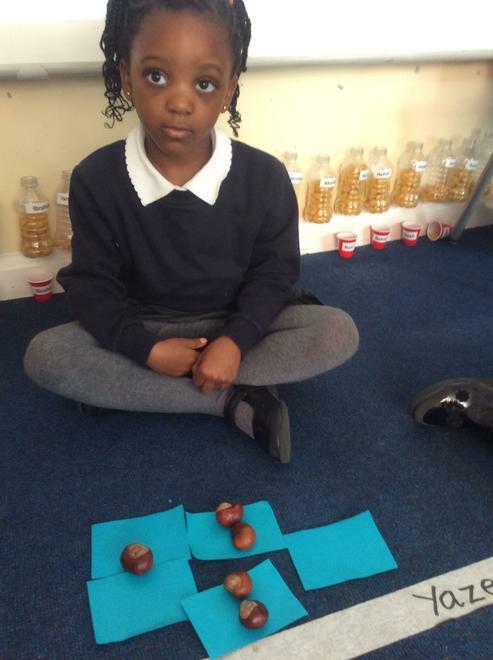 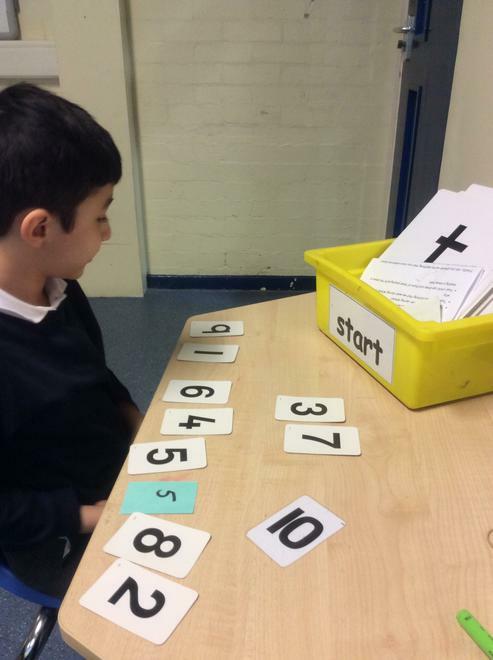 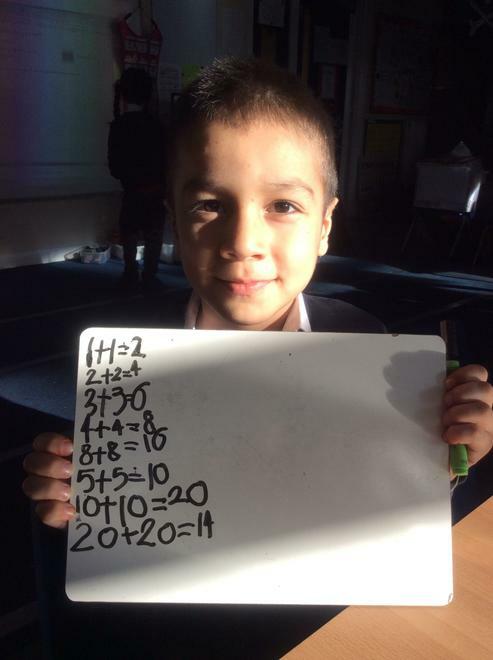 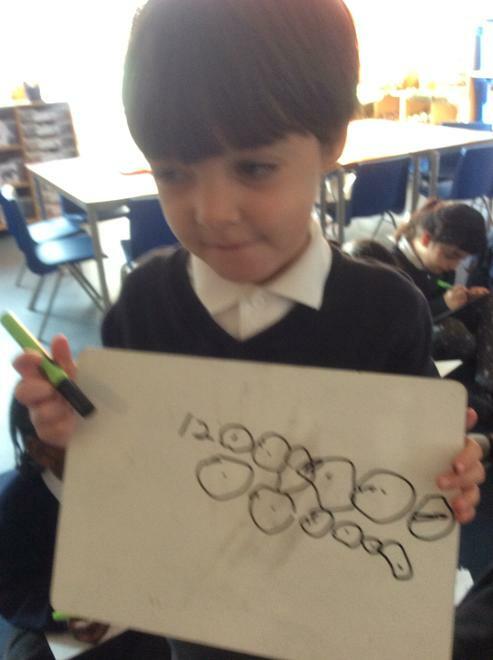 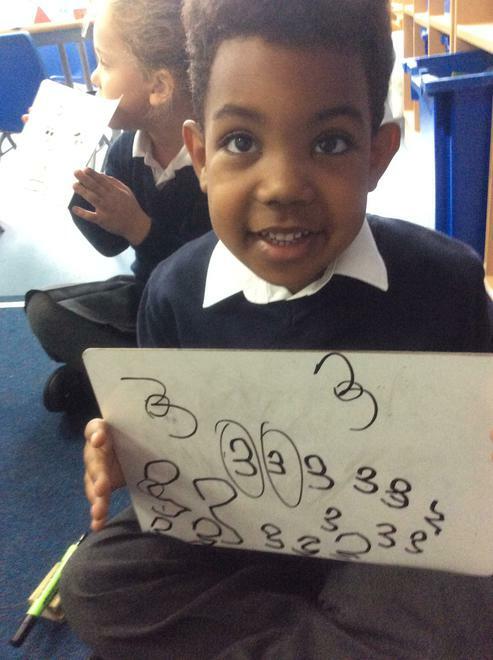 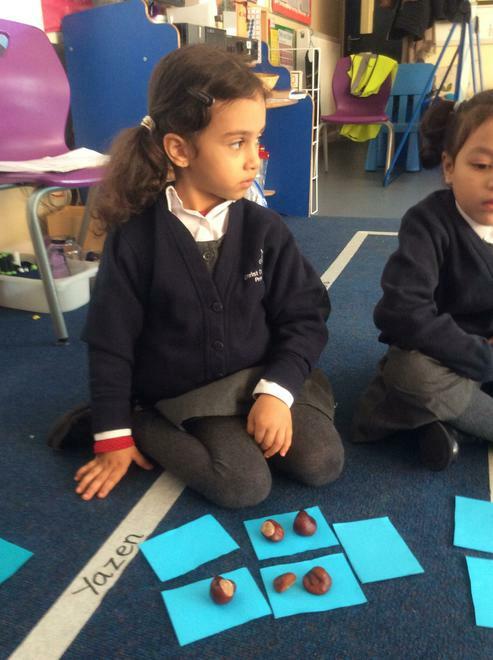 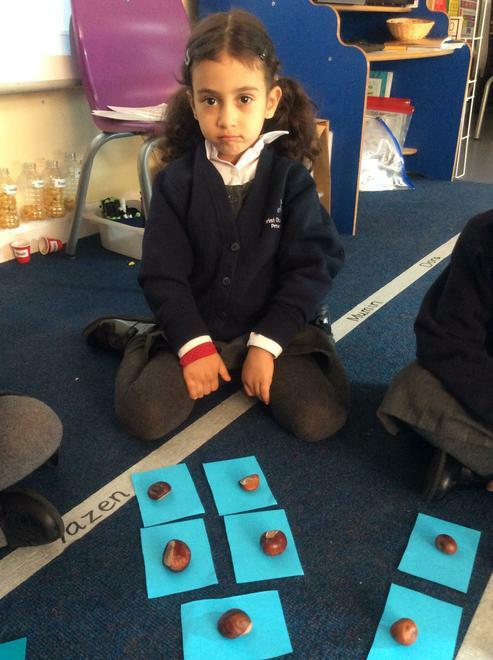 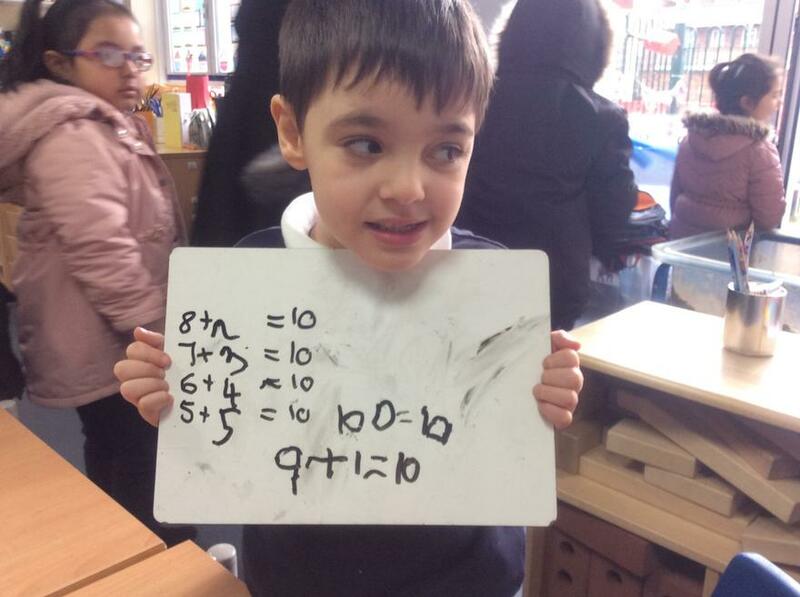 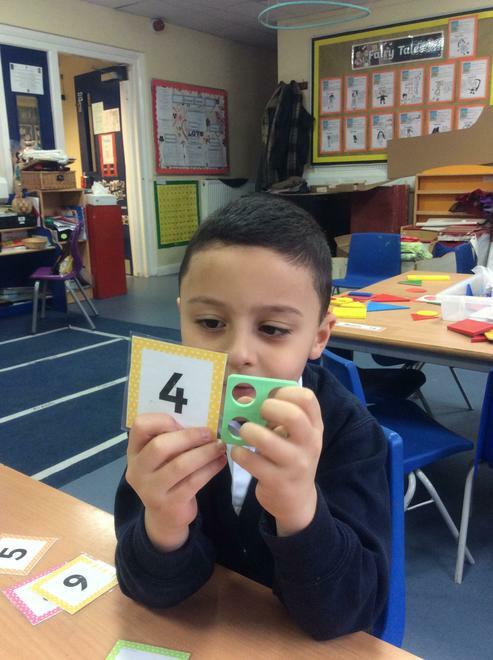 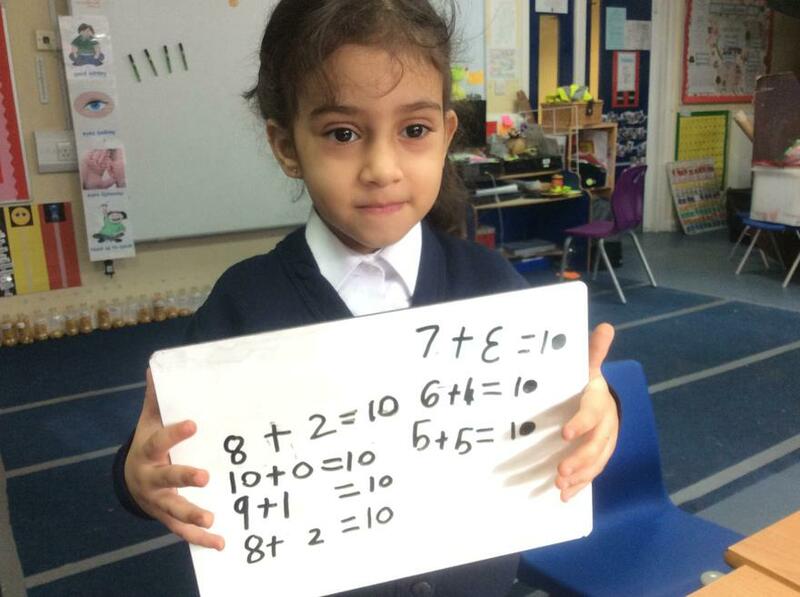 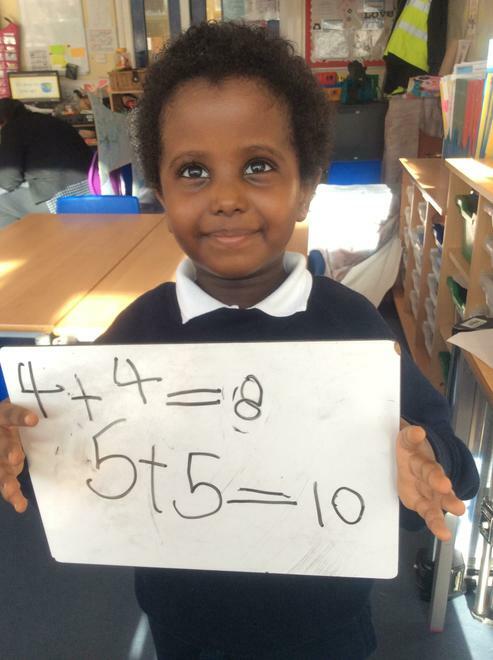 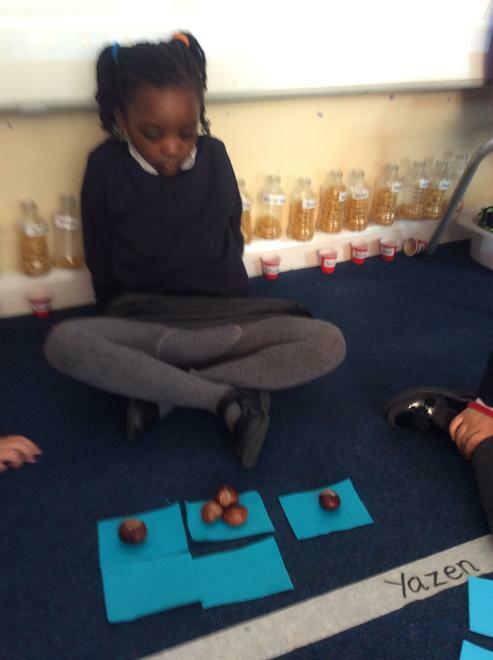 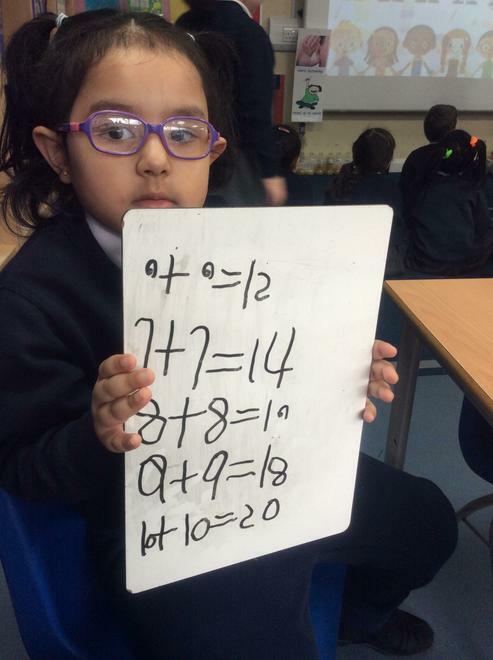 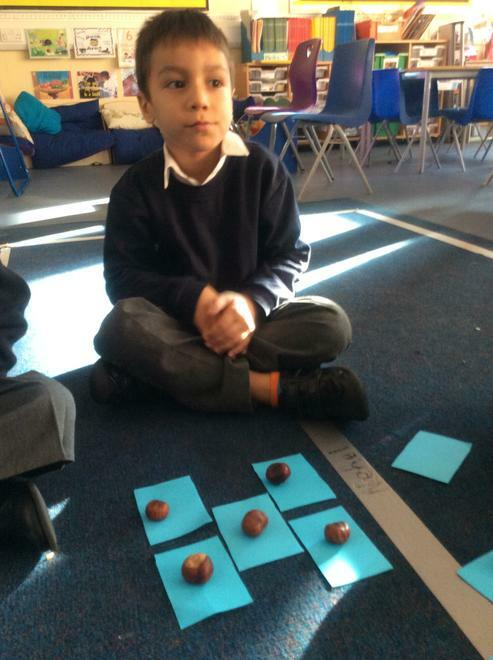 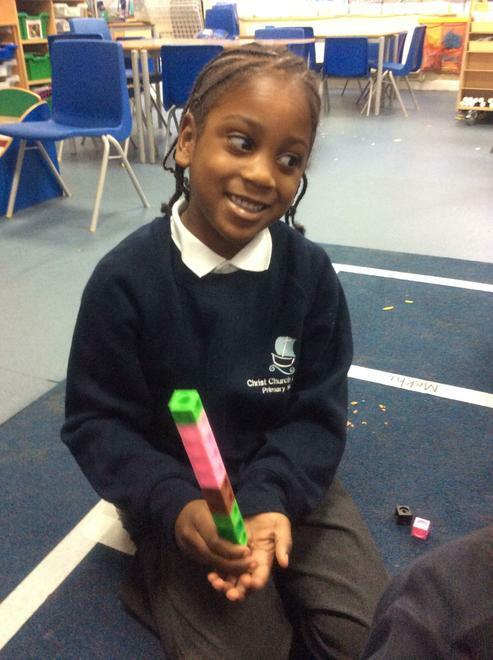 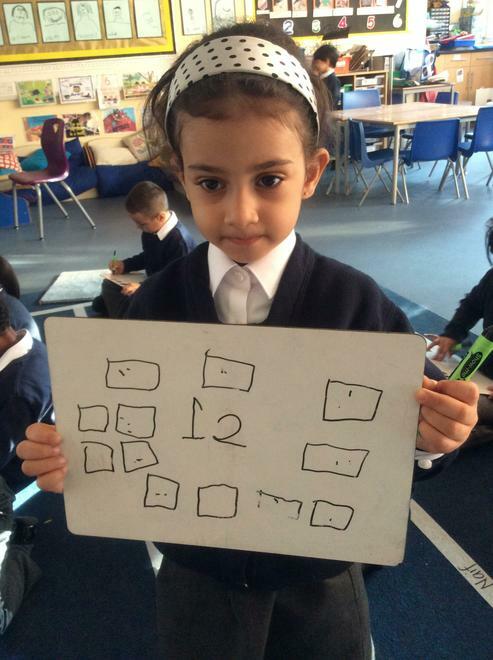 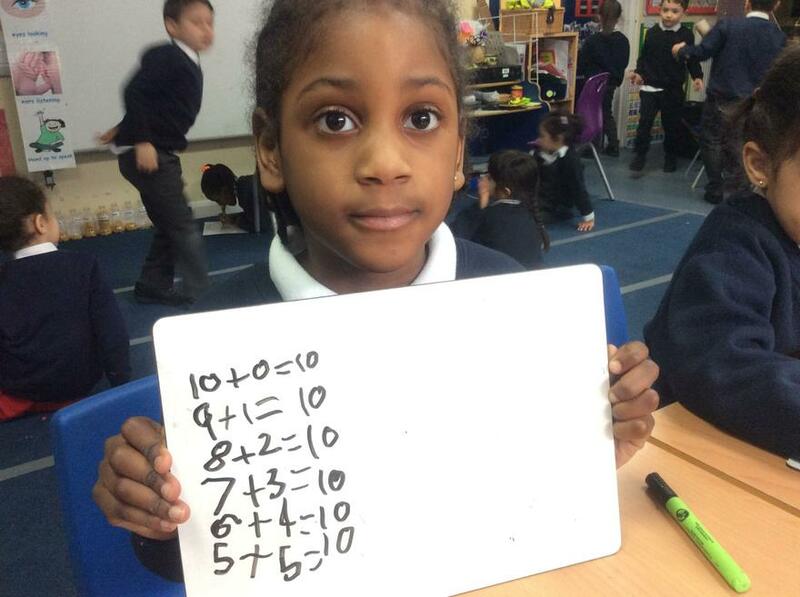 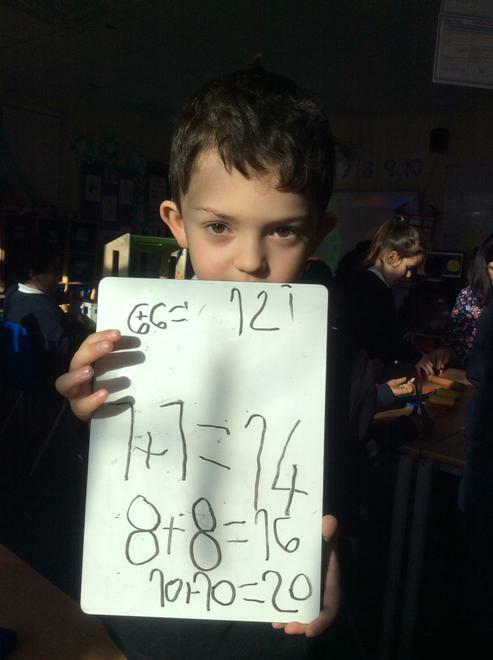 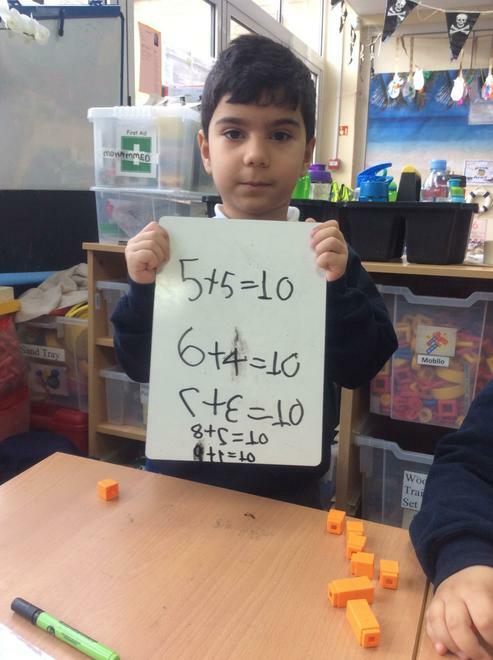 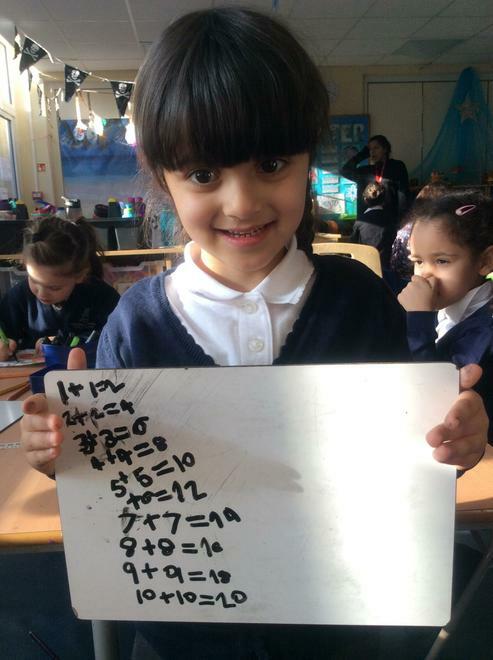 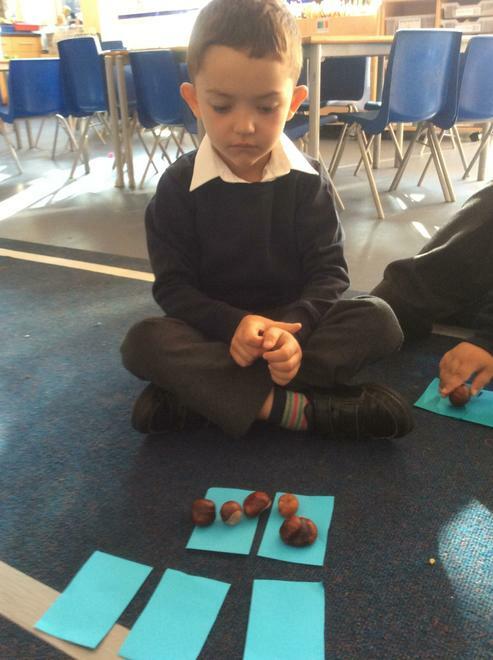 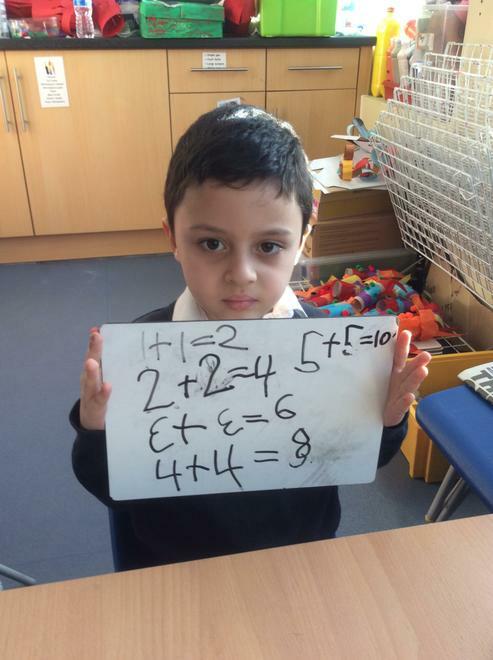 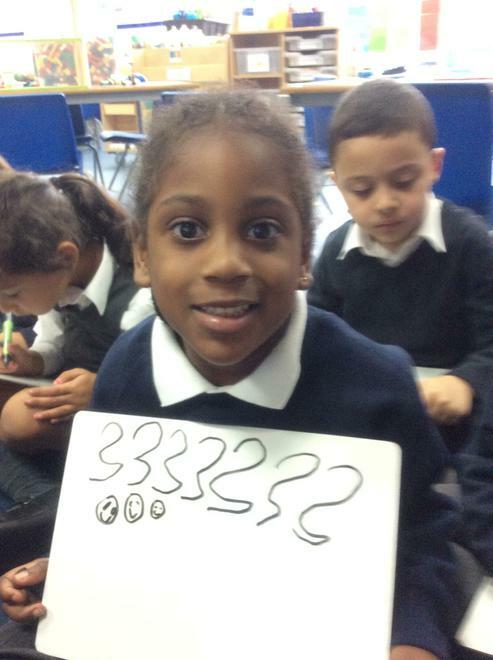 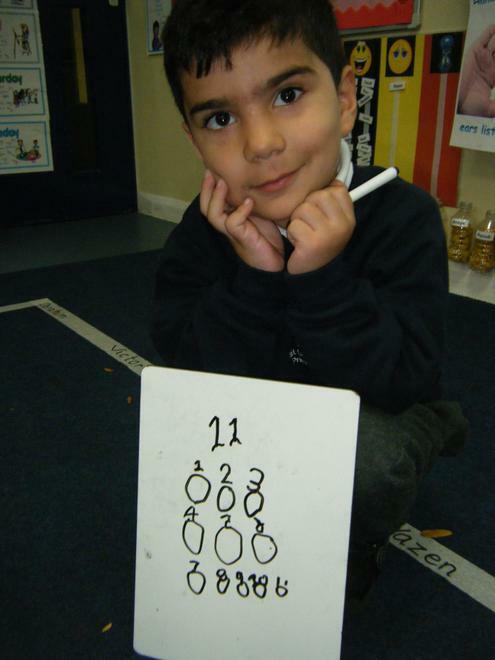 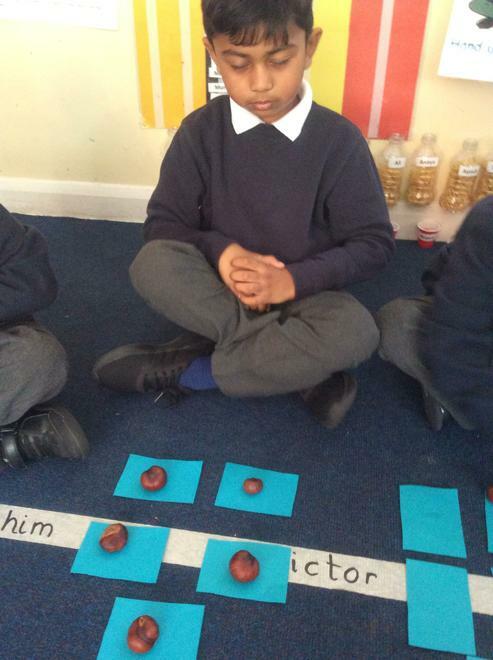 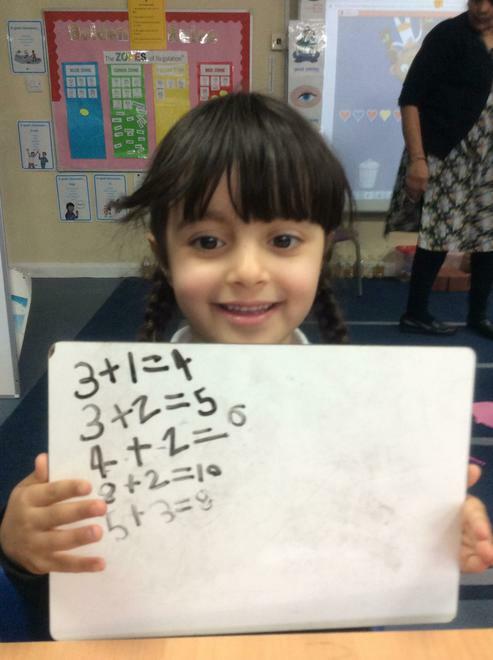 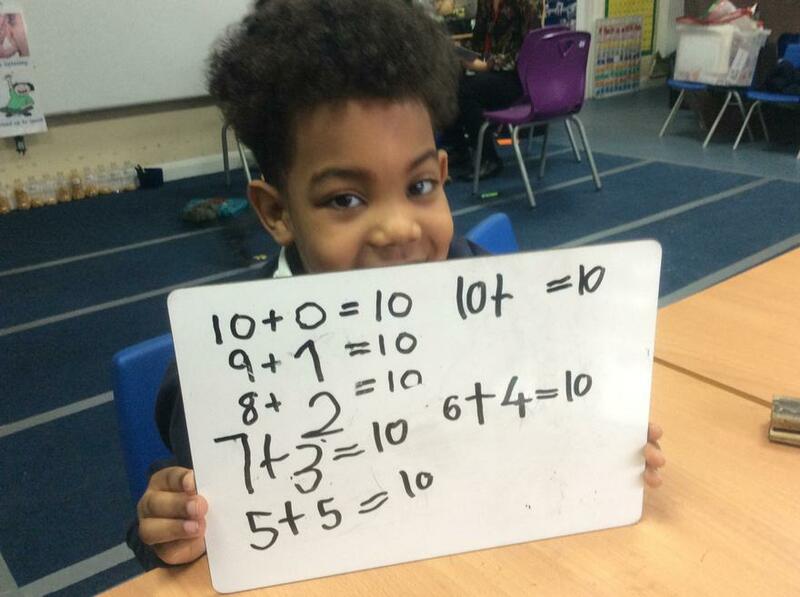 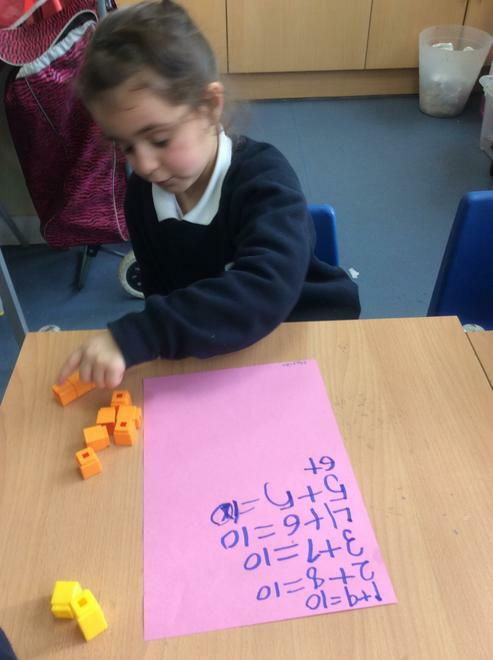 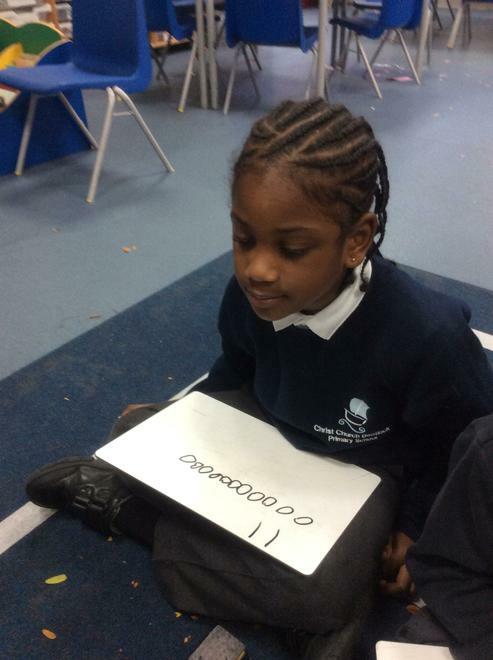 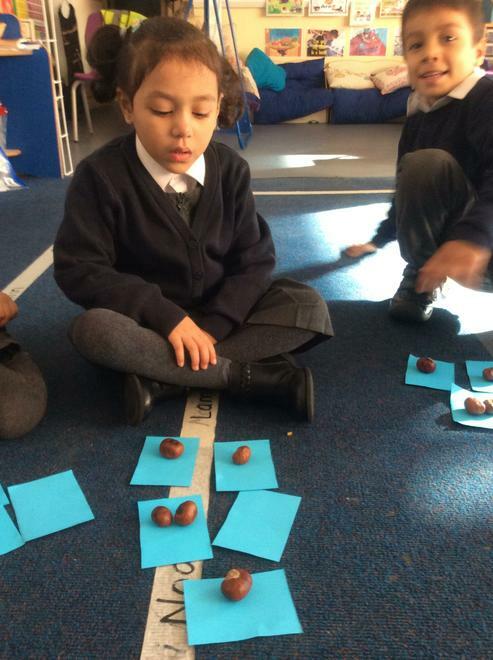 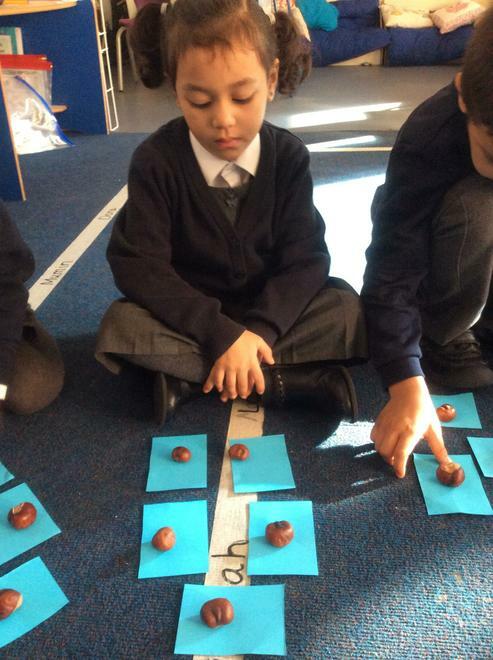 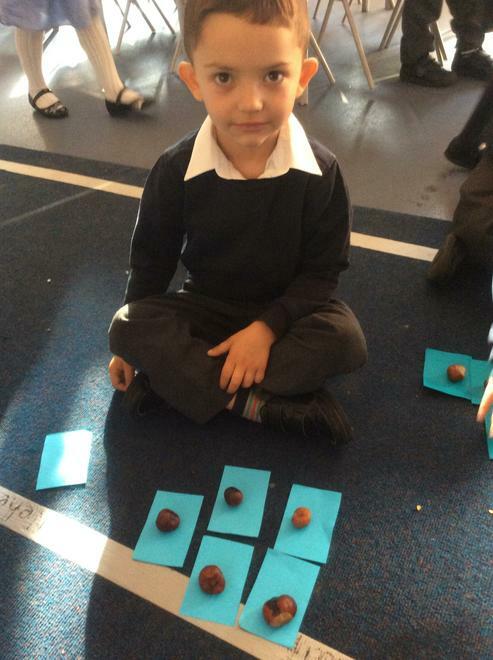 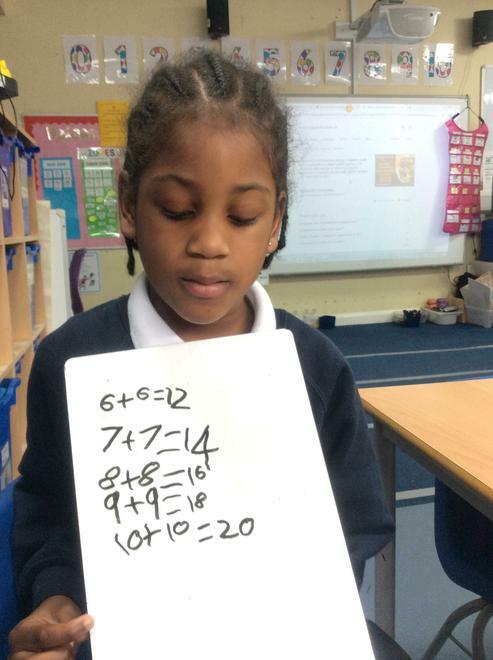 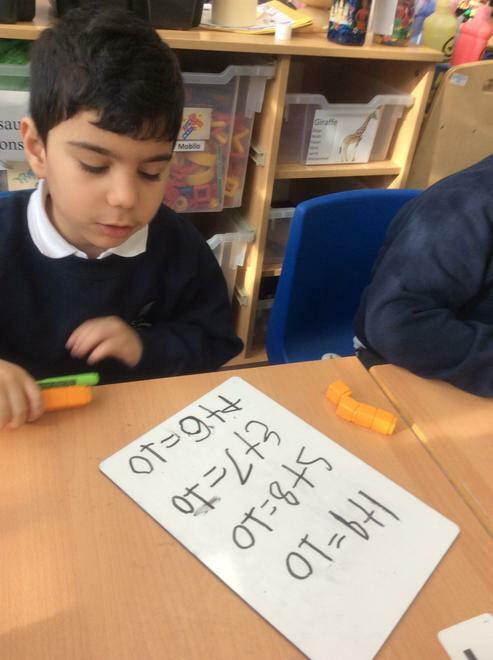 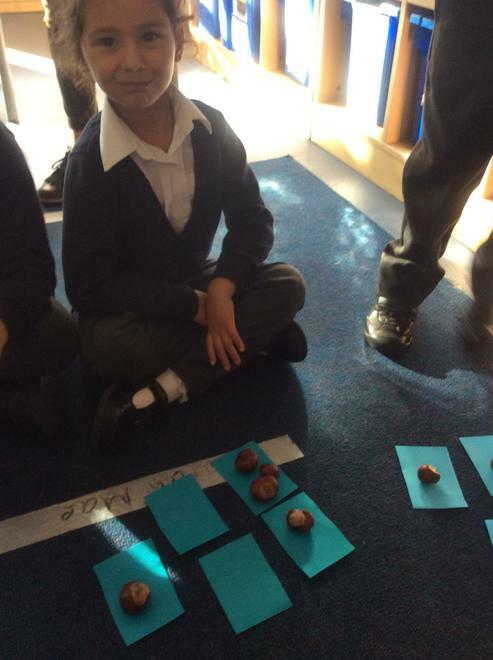 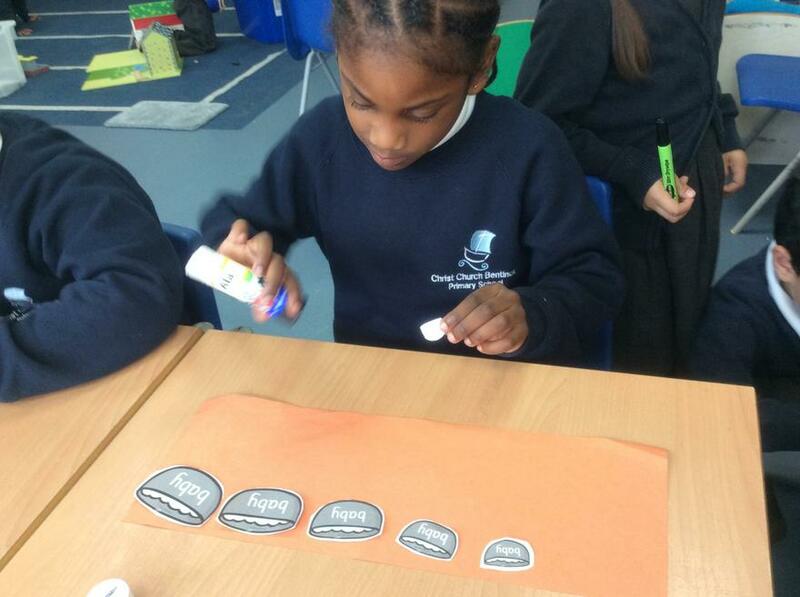 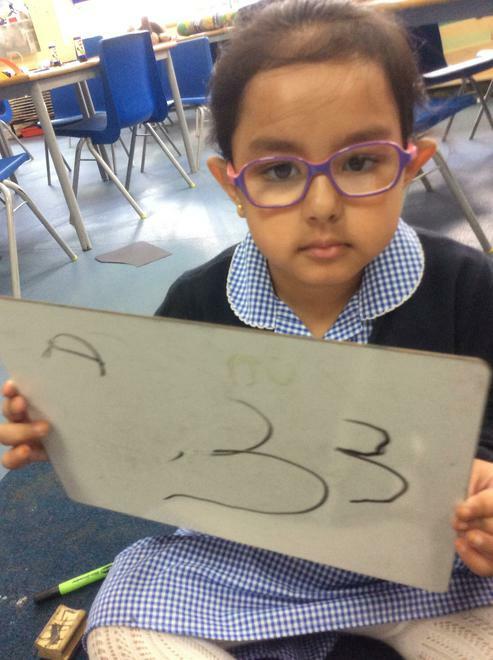 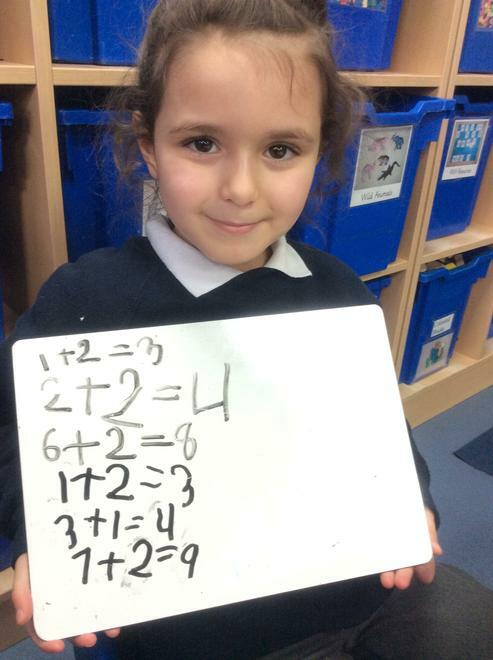 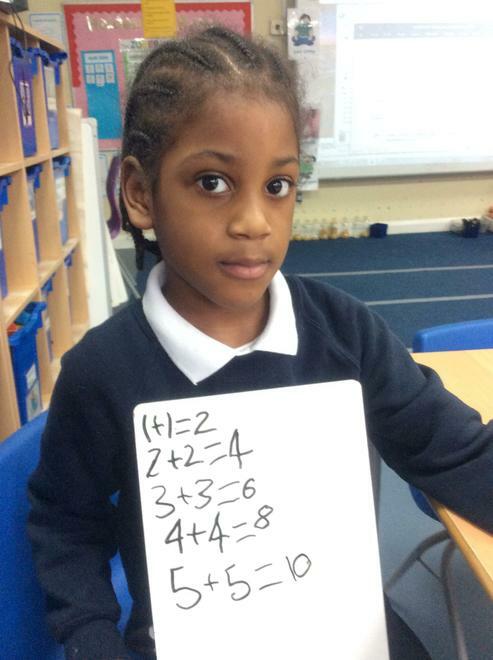 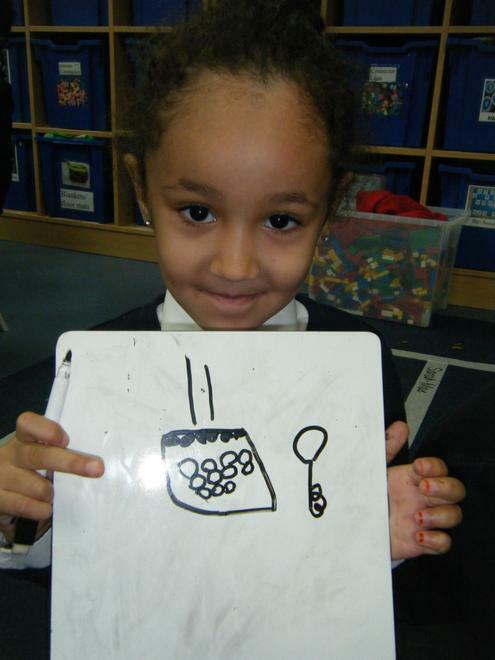 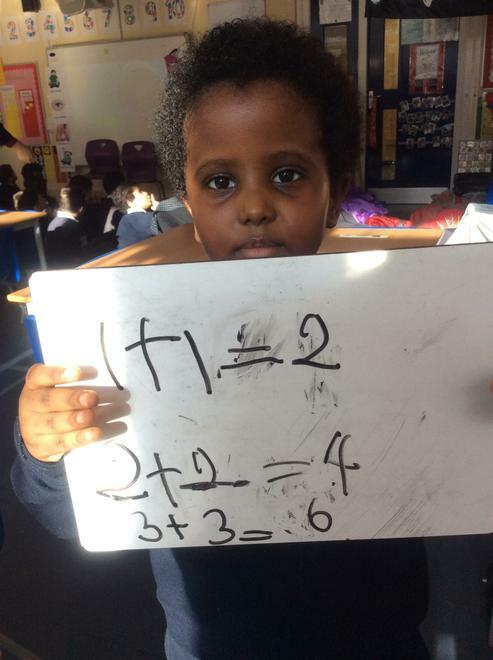 The children find out that they can make a different number by combining two or more numbers. 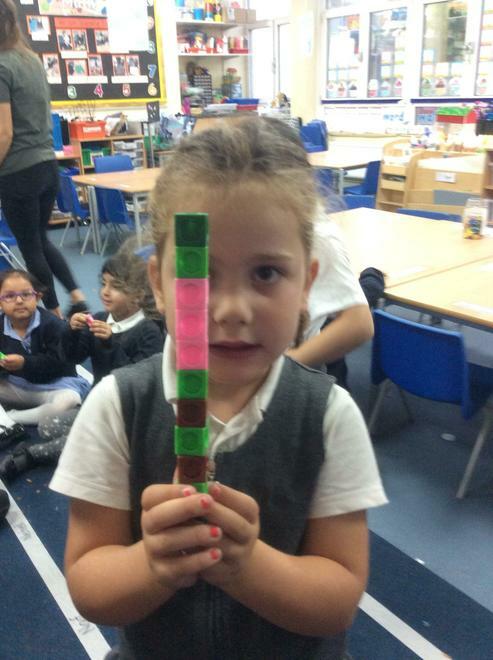 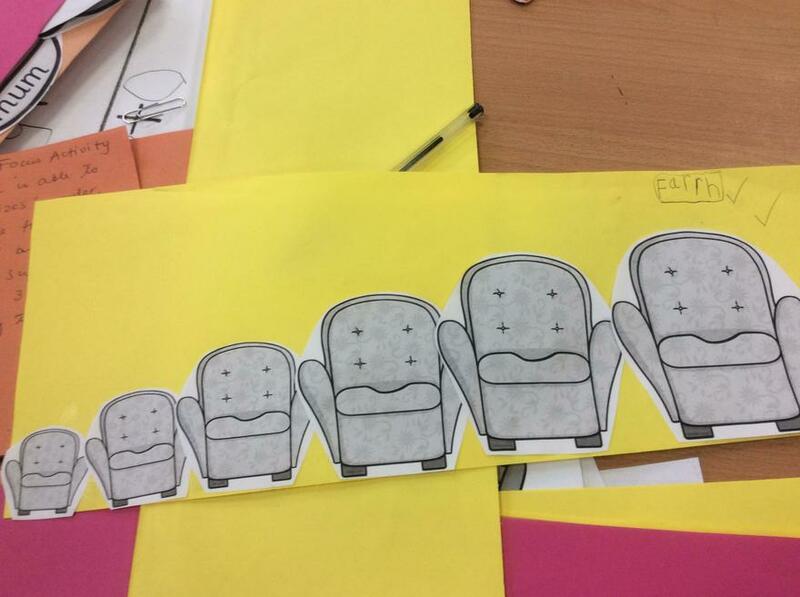 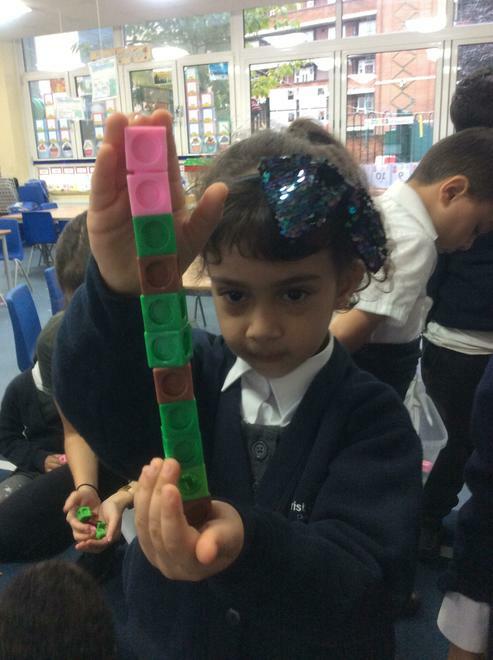 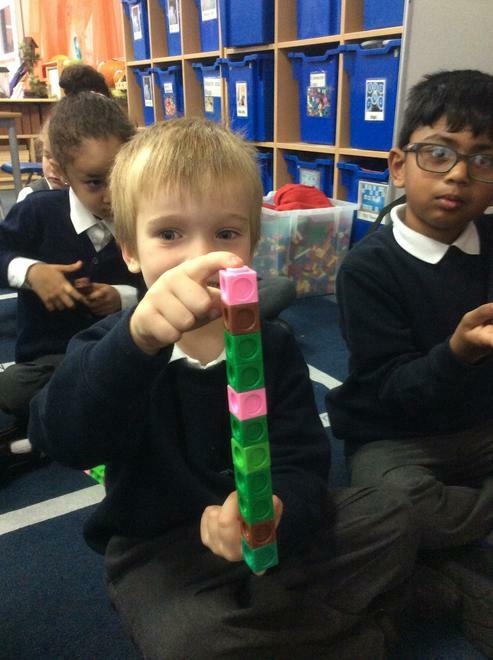 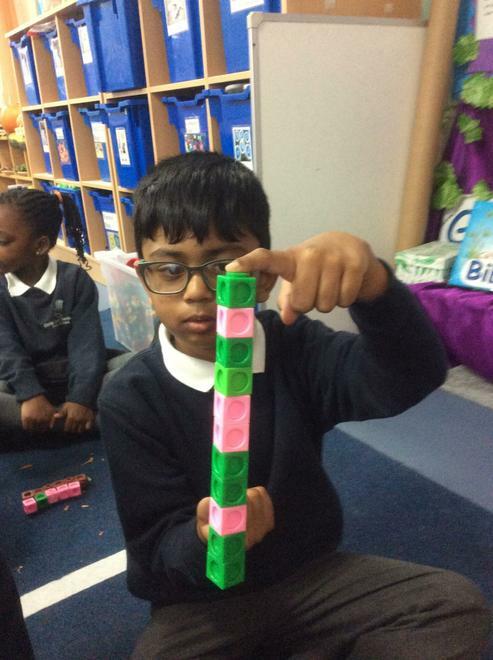 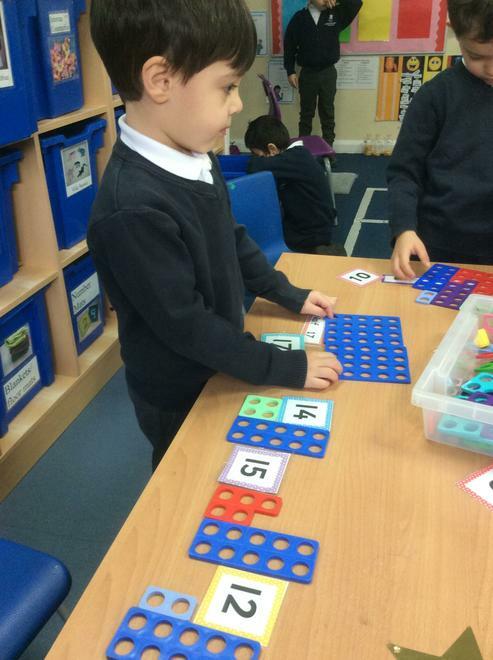 We are learning to order the different sizes. 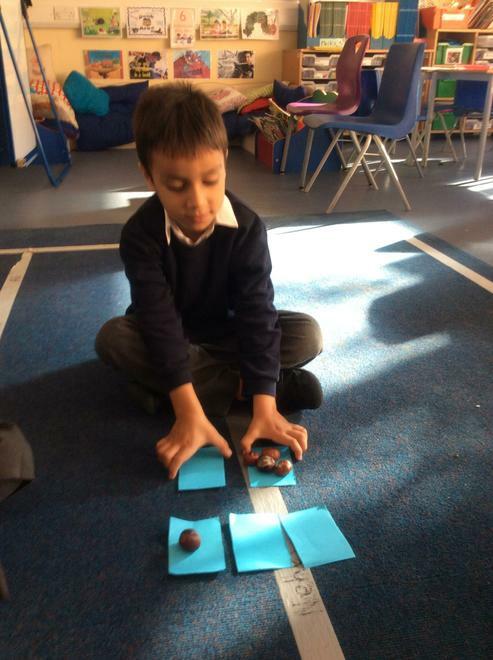 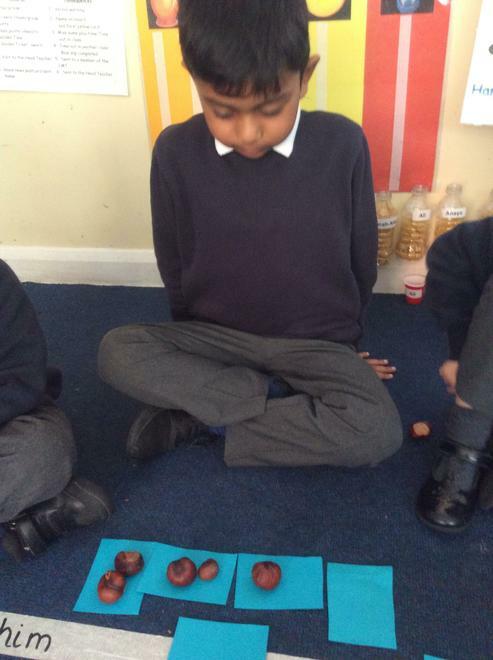 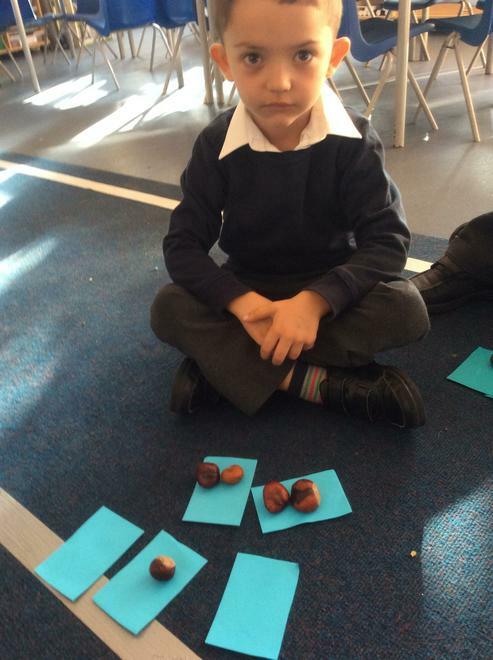 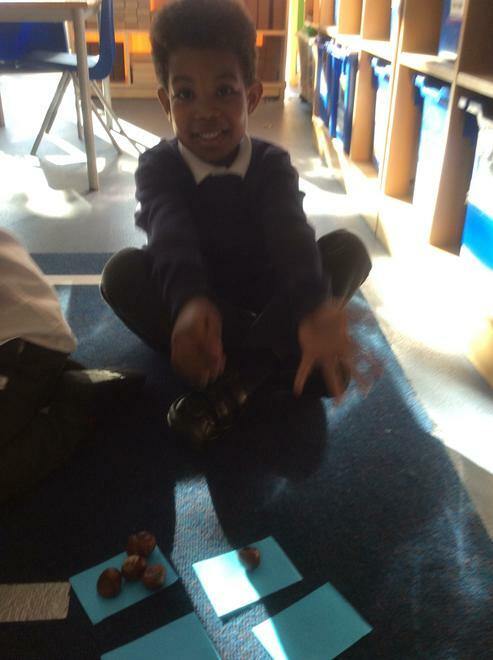 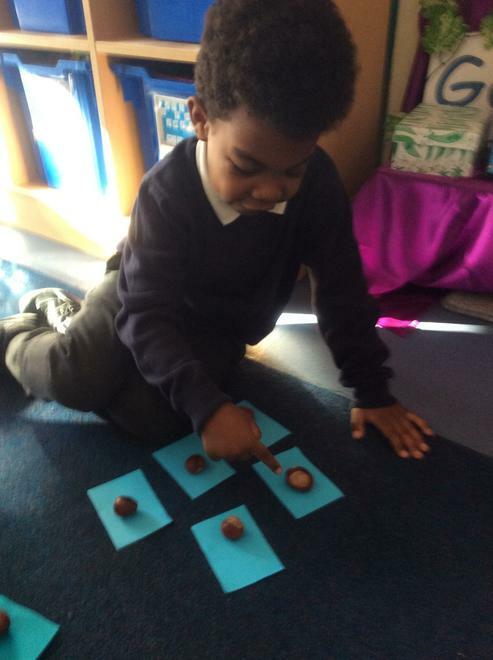 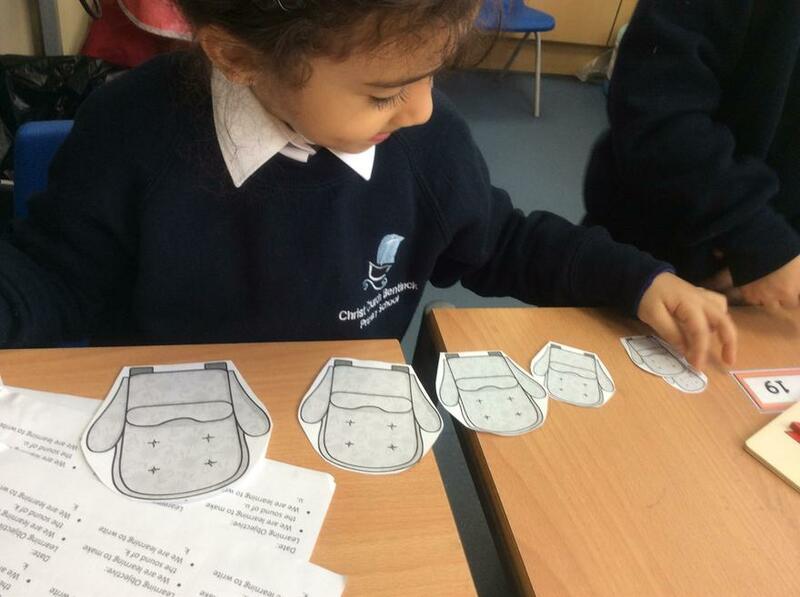 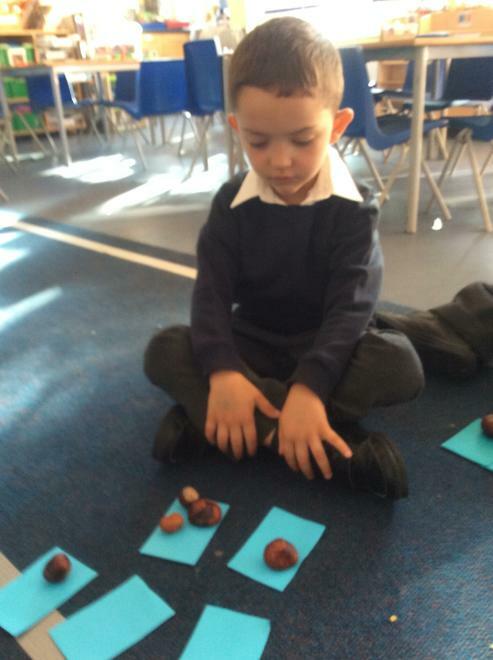 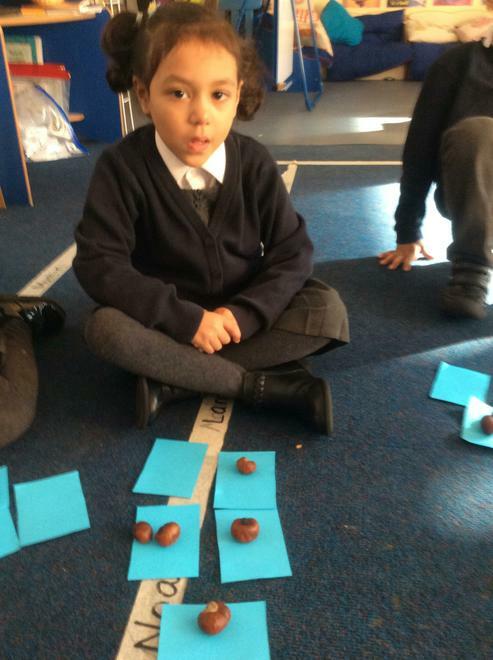 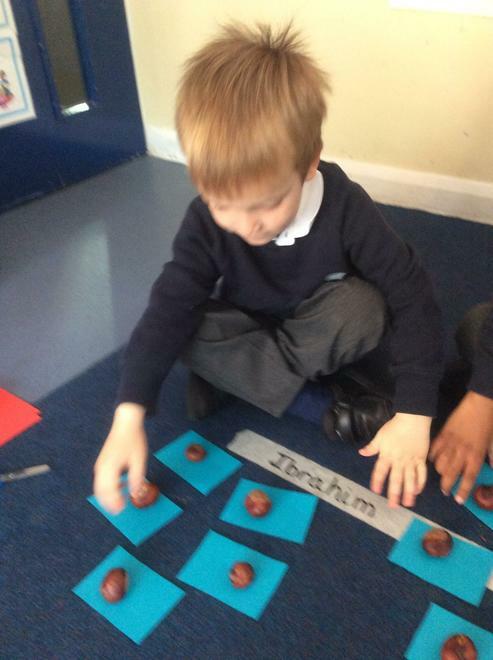 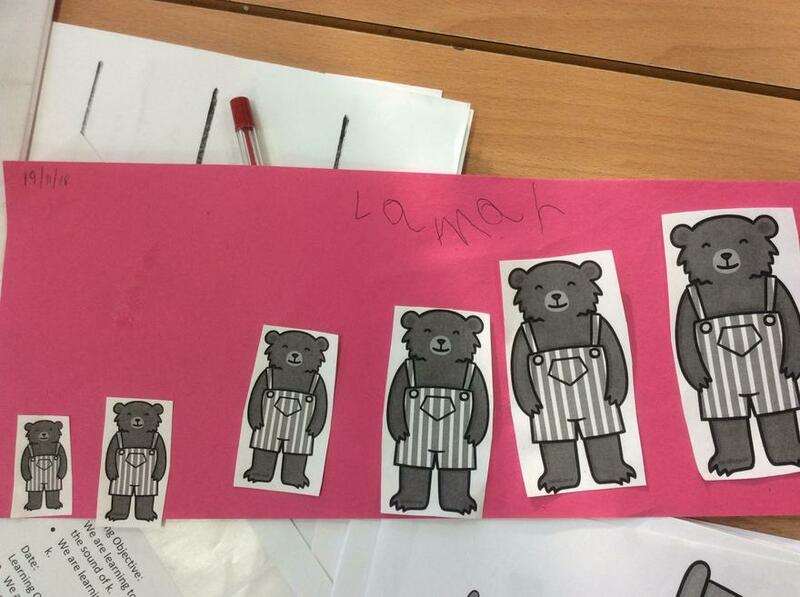 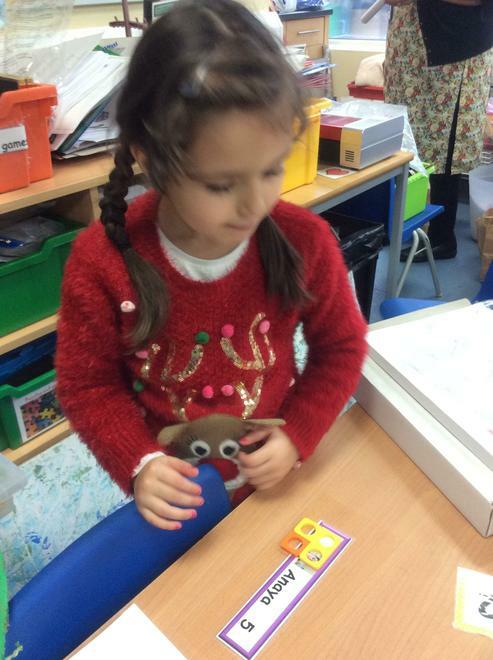 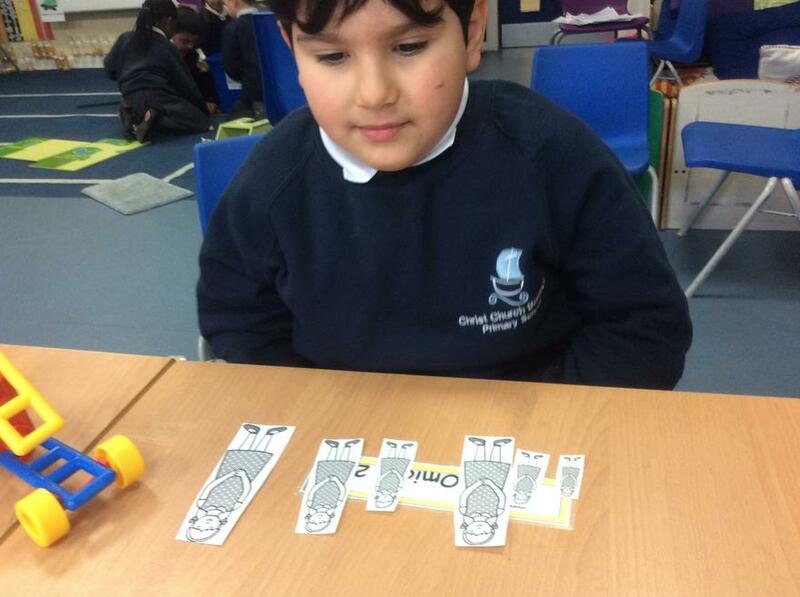 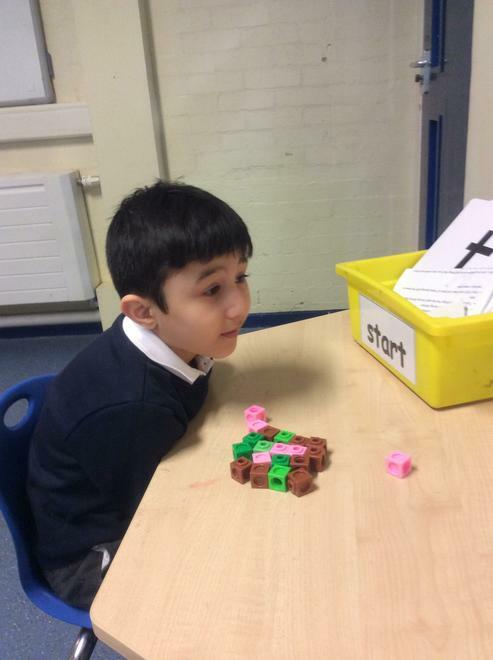 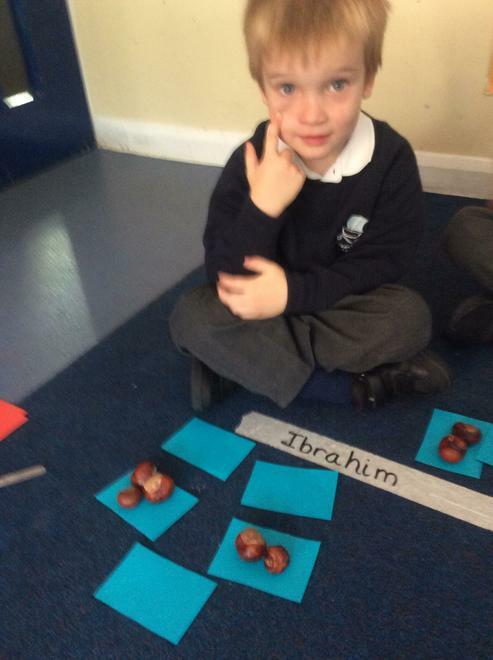 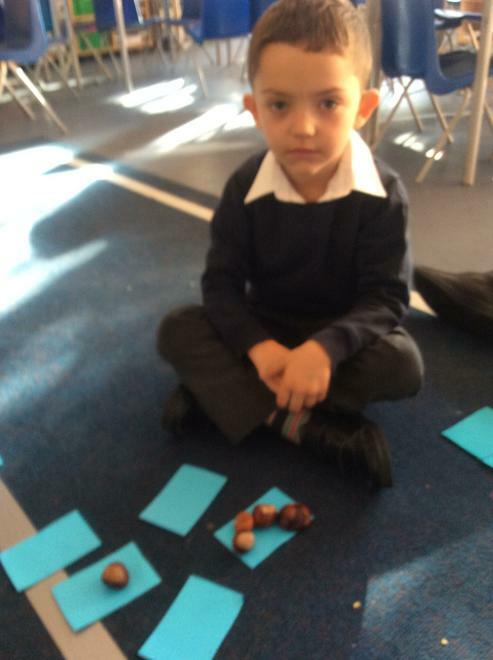 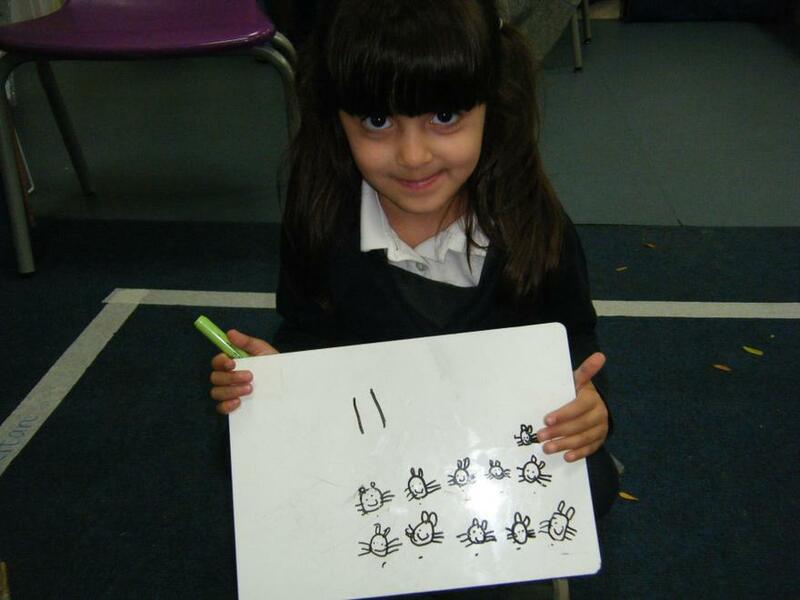 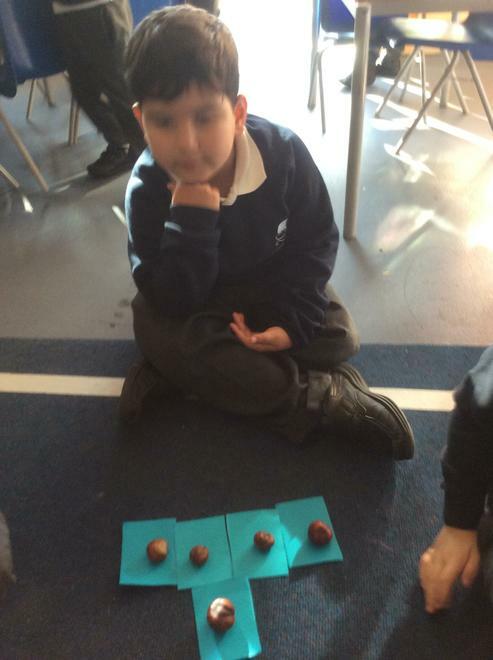 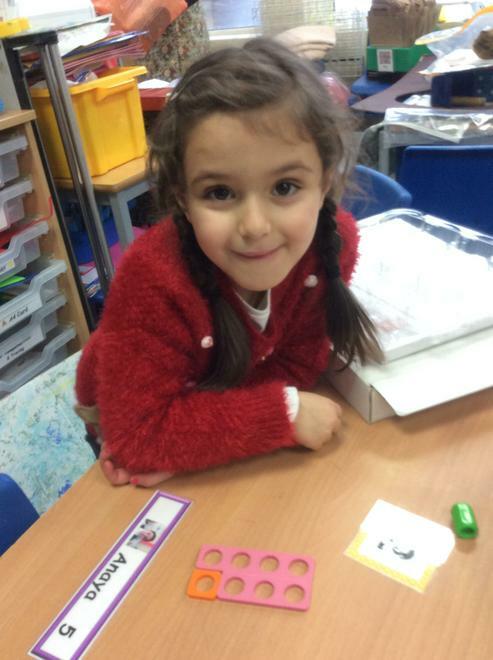 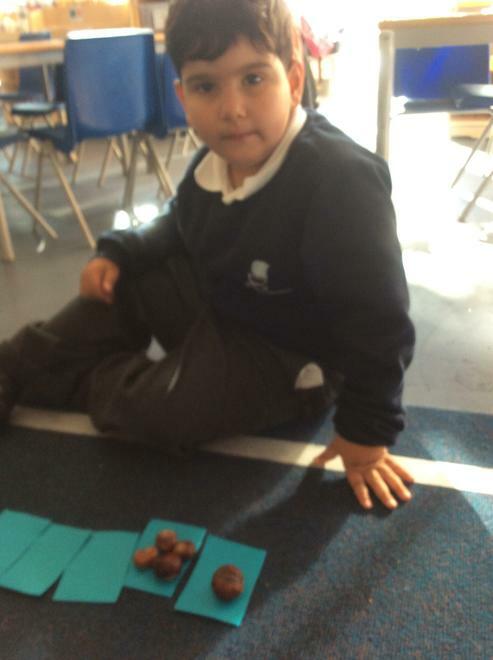 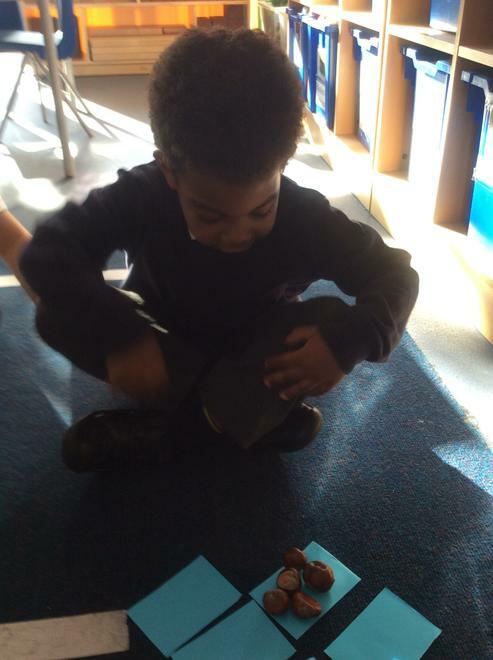 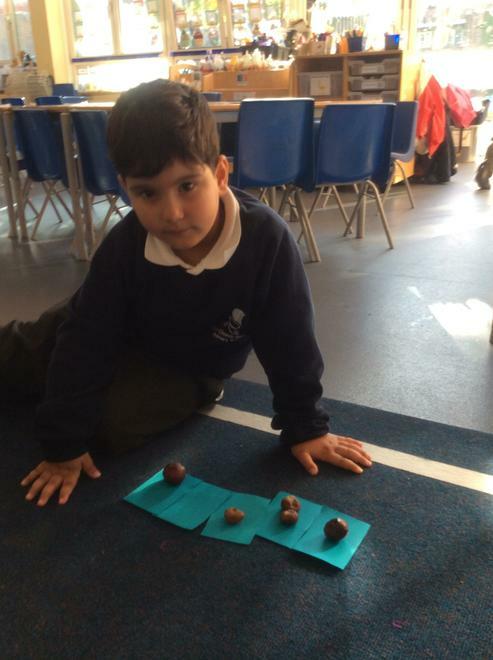 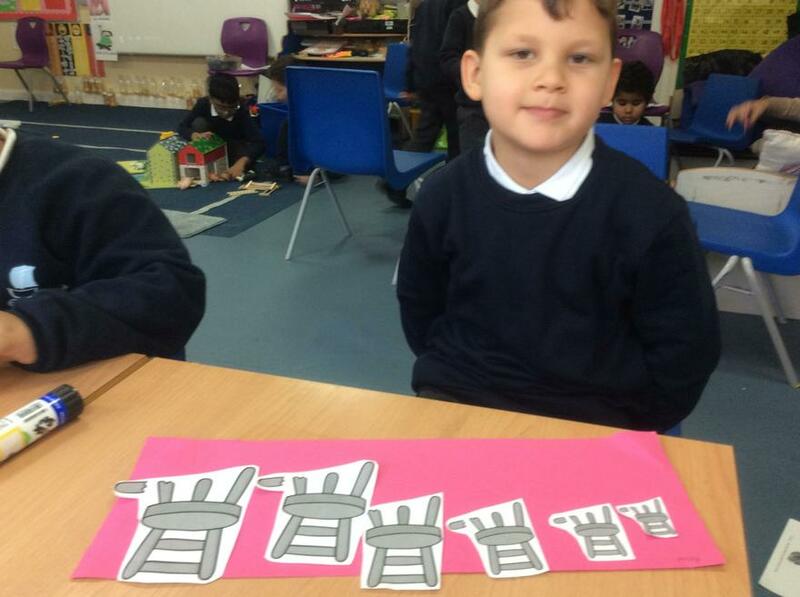 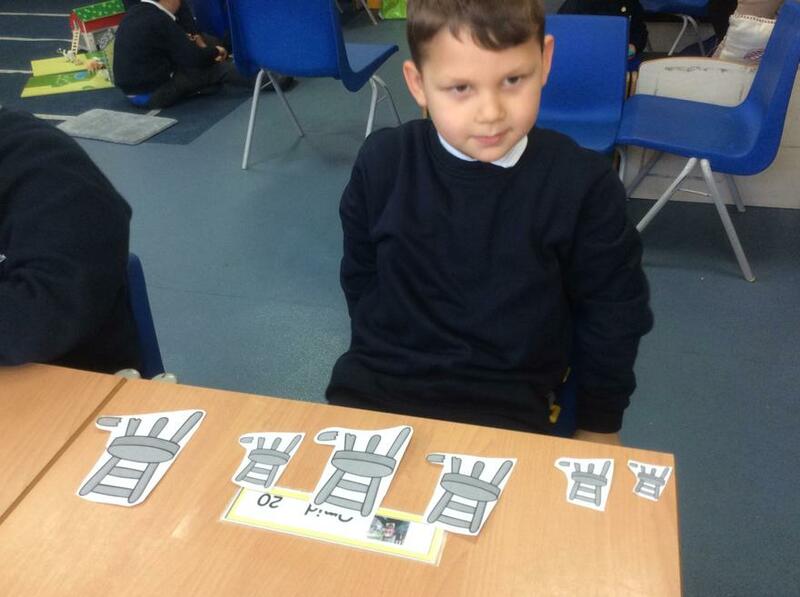 Ali is able to work out the answers independently by using the counting bears. 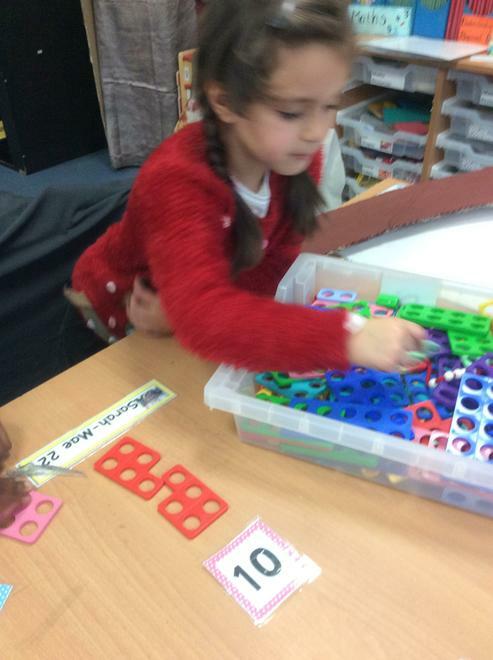 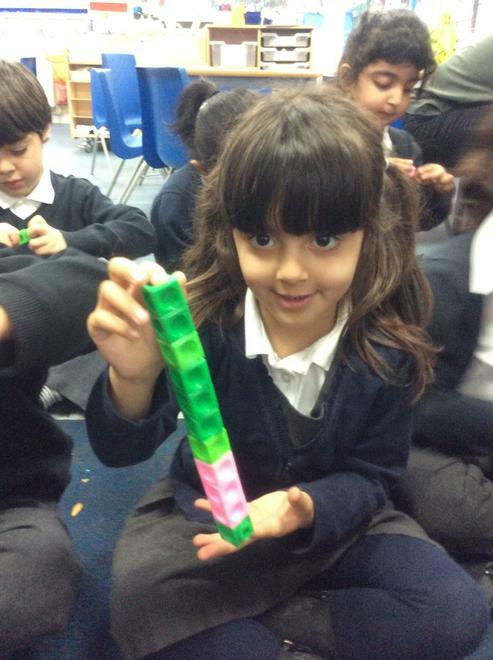 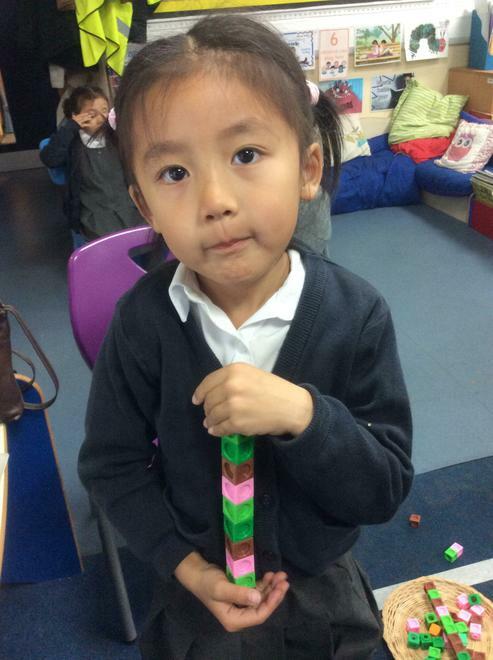 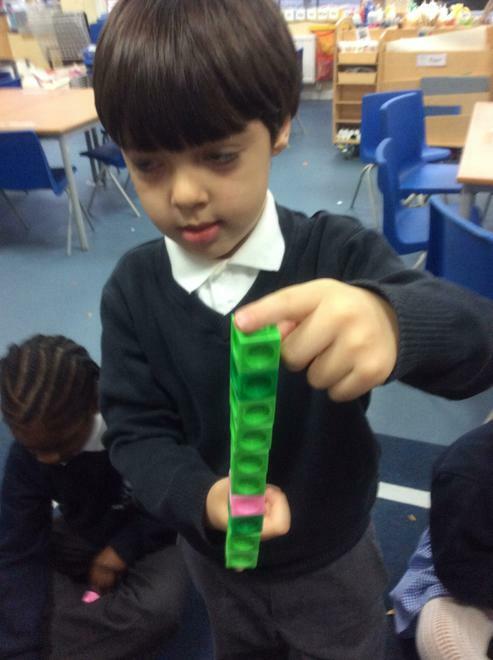 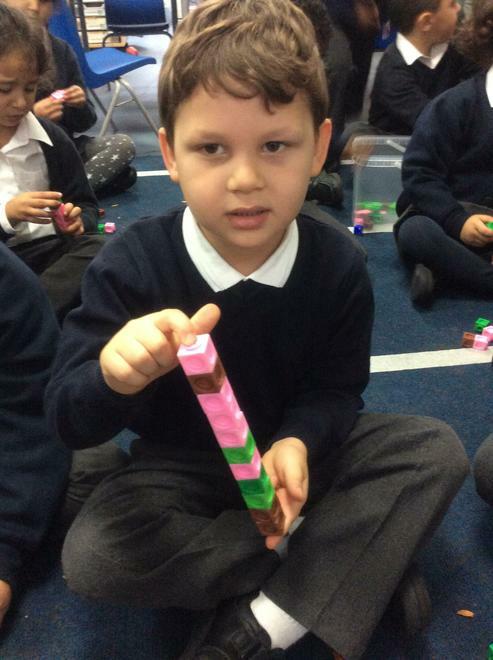 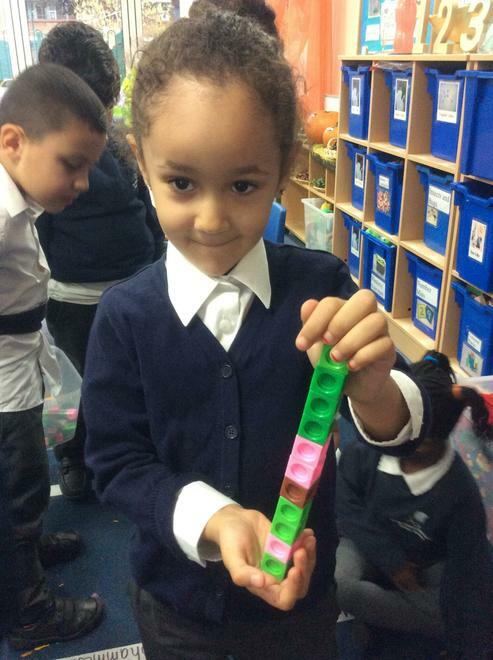 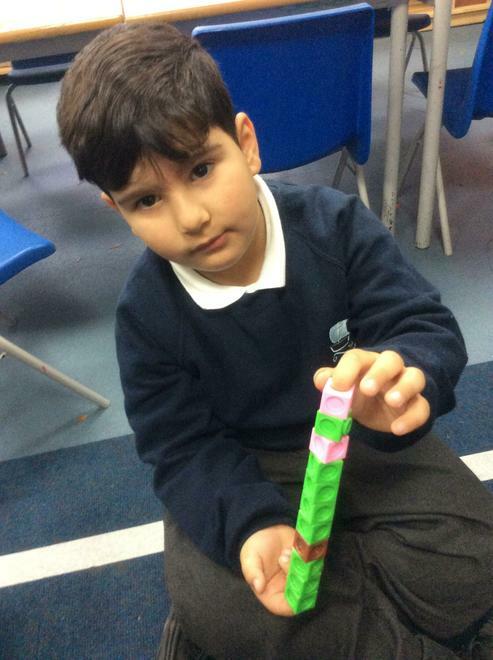 We are learning to measure using the non-standard unit. 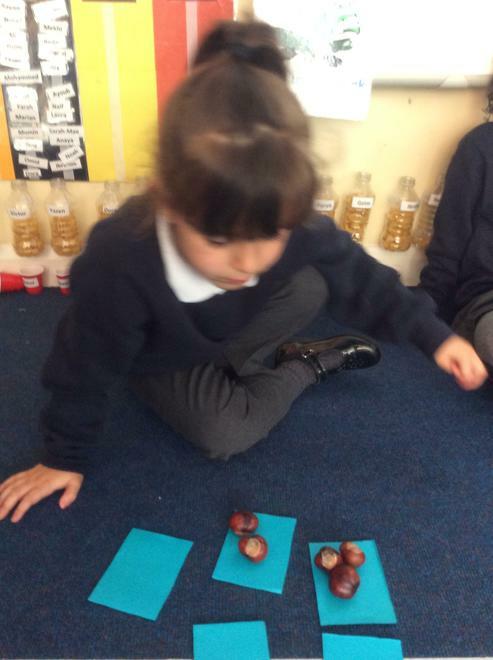 We are learning to separate five things. 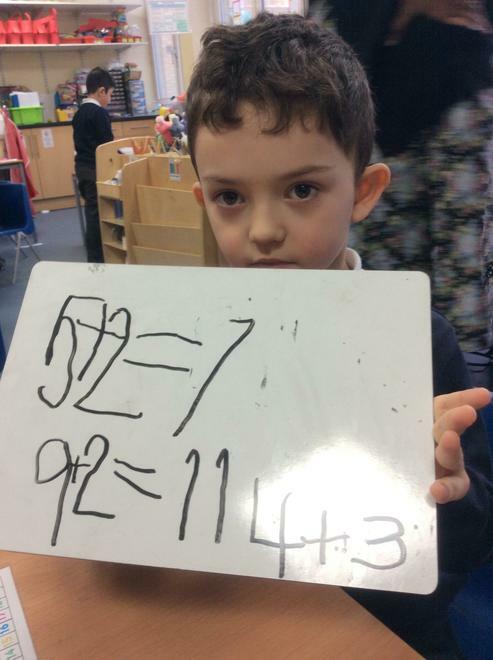 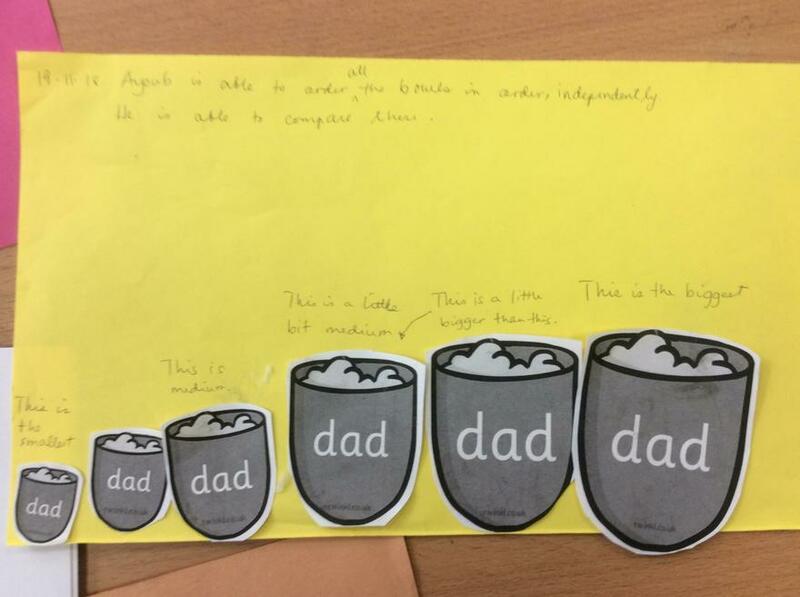 We have learnt that the total remains the same. 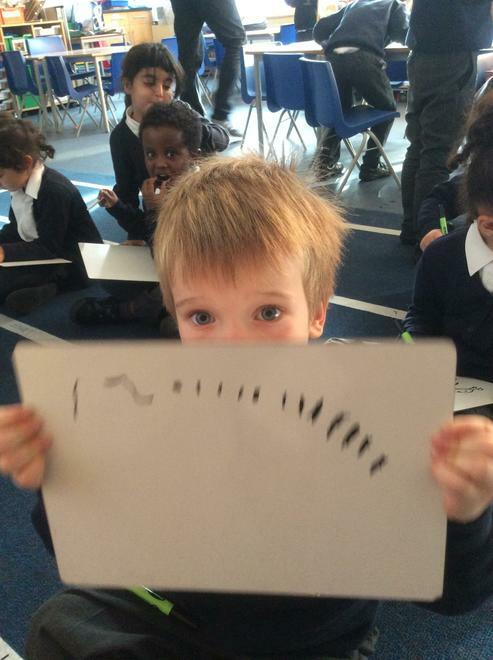 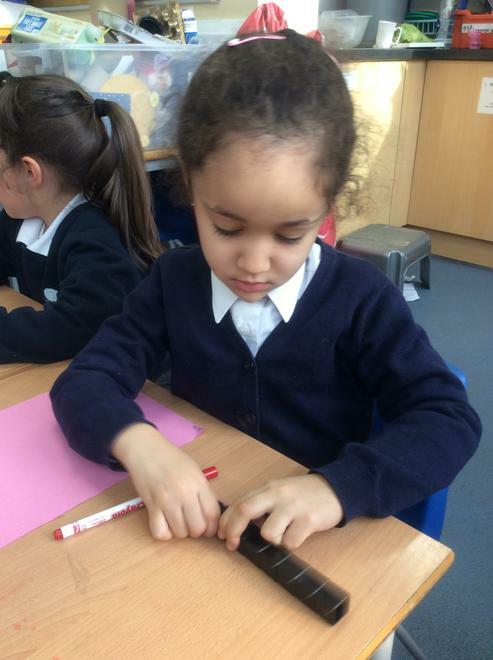 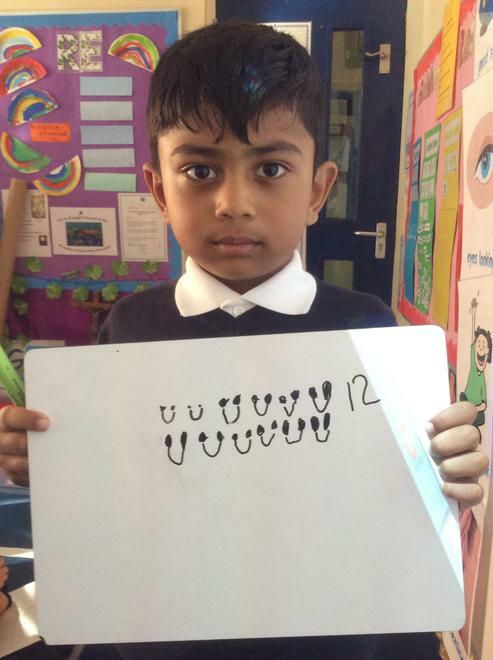 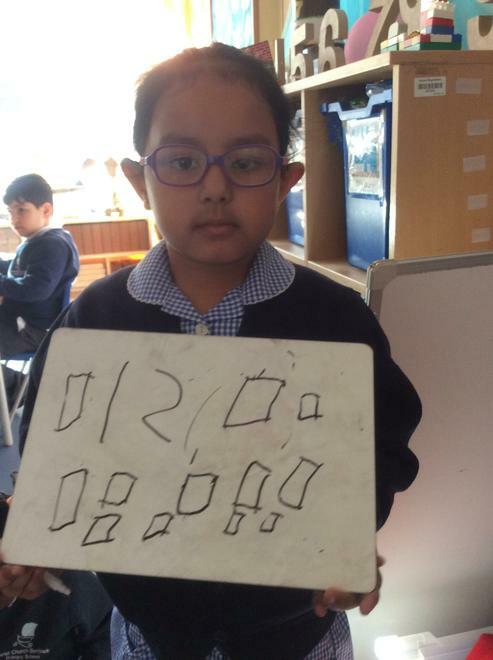 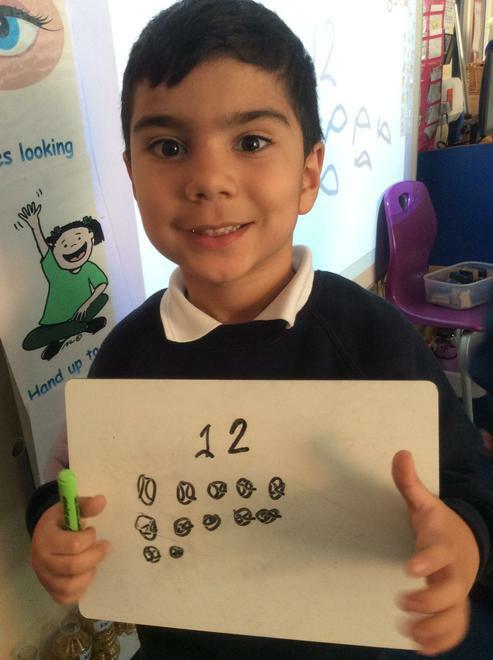 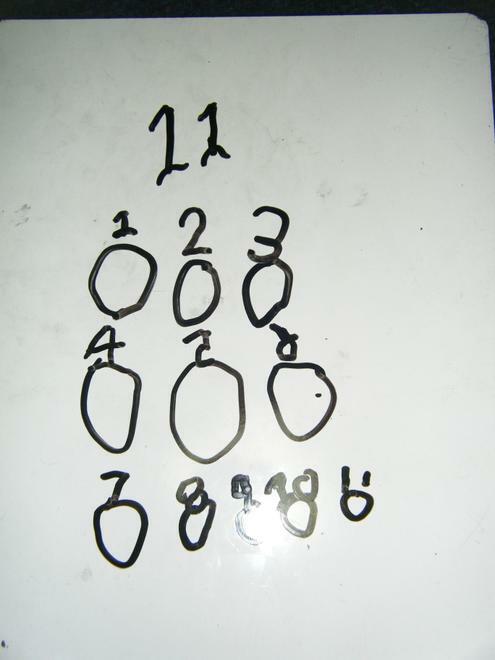 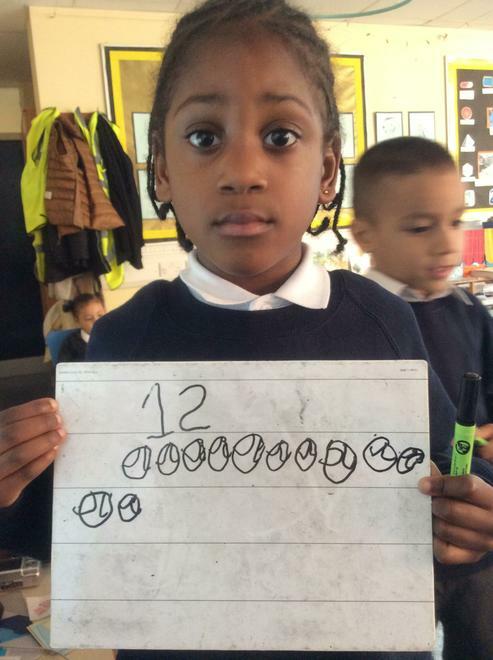 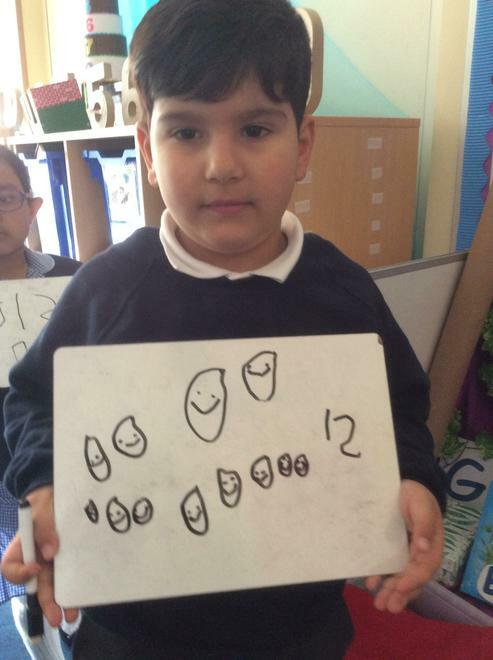 We are learning to represent the number 12 through mark making. 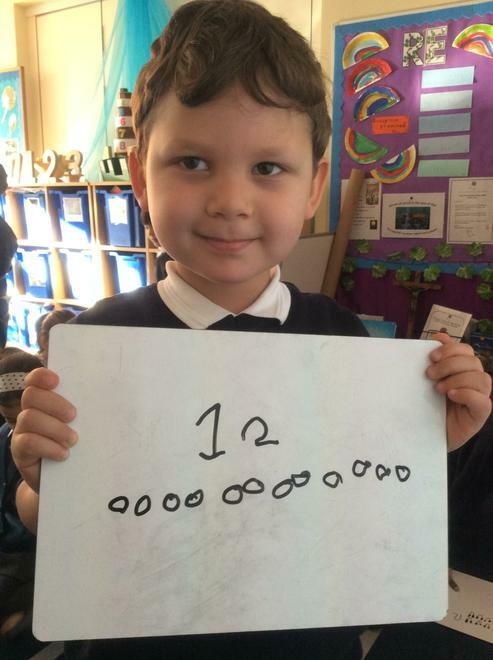 We are learning to represent the number 11. 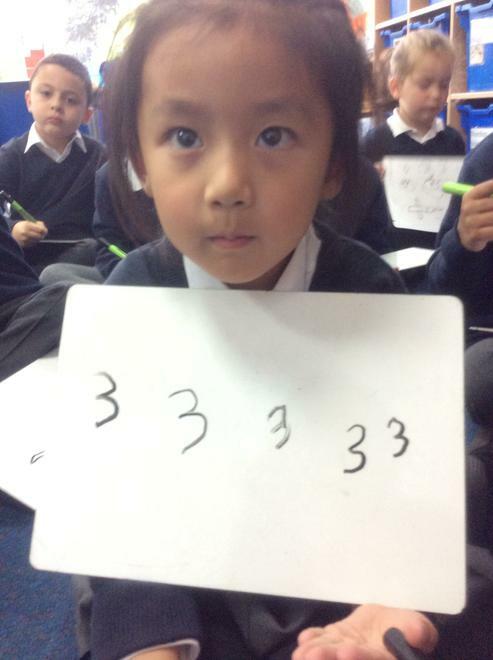 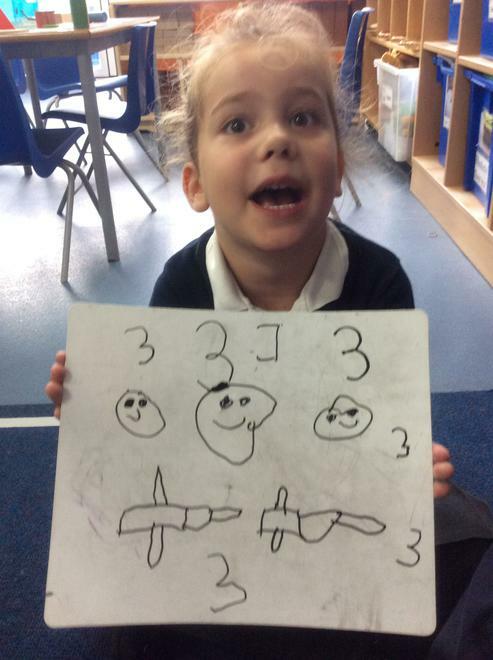 We are learning about number 3.